Latest CCTV traffic image from camera #827 on the M25 road. 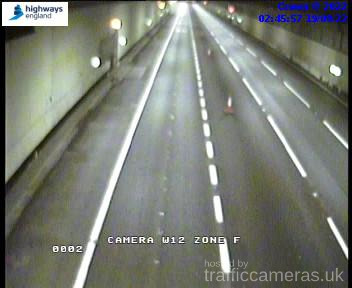 Latest CCTV traffic image from camera #828 on the M25 road. Latest CCTV traffic image from camera #829 on the M25 road. 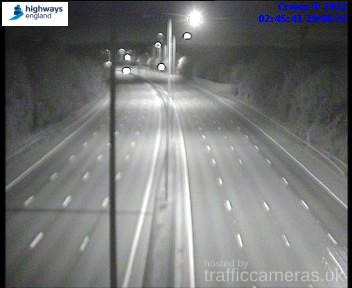 Latest CCTV traffic image from camera #830 on the M25 road. Latest CCTV traffic image from camera #831 on the M25 road. 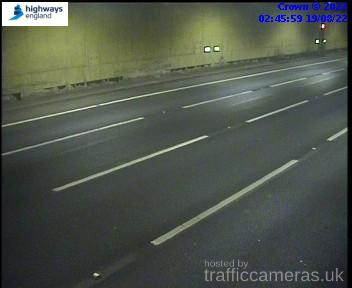 Latest CCTV traffic image from camera #832 on the M25 road. Latest CCTV traffic image from camera #833 on the M25 road. Latest CCTV traffic image from camera #835 on the M25 road. Latest CCTV traffic image from camera #836 on the M25 road. Latest CCTV traffic image from camera #838 on the M25 road. Latest CCTV traffic image from camera #839 on the M25 road. 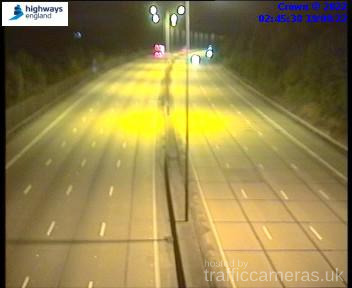 Latest CCTV traffic image from camera #840 on the M25 road. 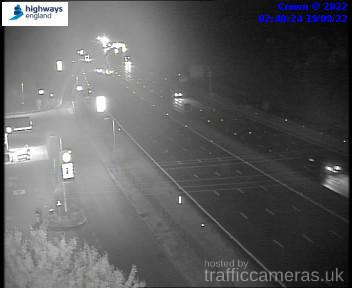 Latest CCTV traffic image from camera #841 on the M25 road. 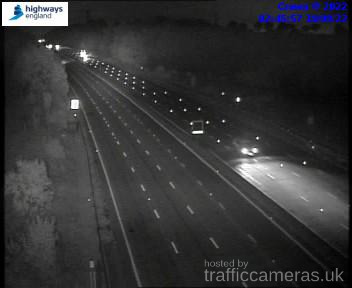 Latest CCTV traffic image from camera #842 on the M25 road. 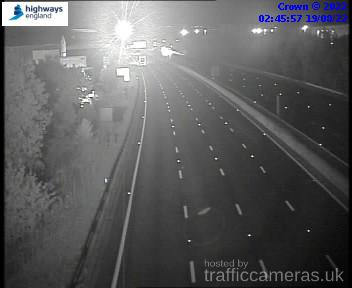 Latest CCTV traffic image from camera #843 on the M25 road. 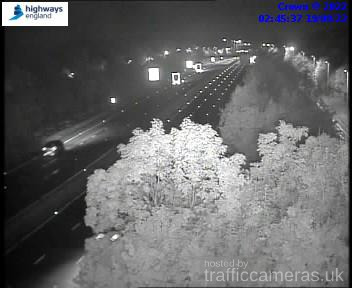 Latest CCTV traffic image from camera #844 on the M25 road. 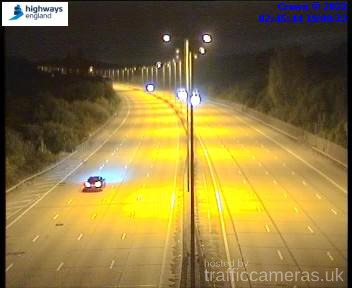 Latest CCTV traffic image from camera #845 on the M25 road. 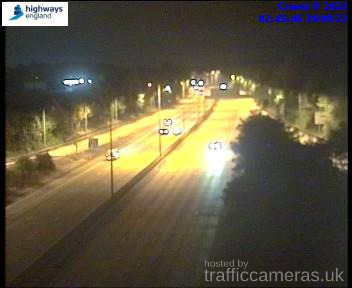 Latest CCTV traffic image from camera #846 on the M25 road. 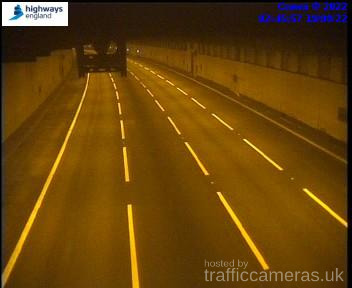 Latest CCTV traffic image from camera #847 on the M25 road. 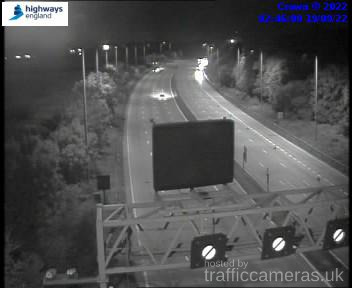 Latest CCTV traffic image from camera #848 on the M25 road. 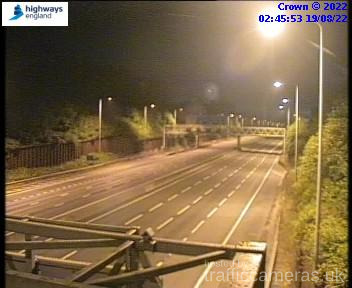 Latest CCTV traffic image from camera #849 on the M25 road. 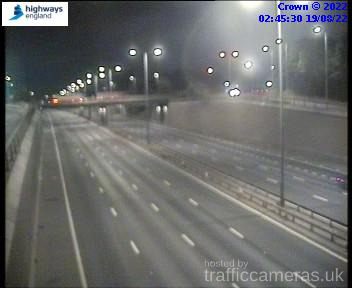 Latest CCTV traffic image from camera #850 on the M25 road. 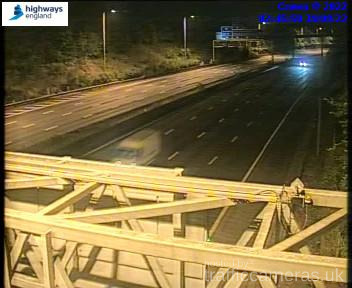 Latest CCTV traffic image from camera #851 on the M25 road. 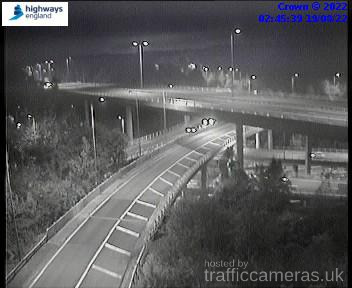 Latest CCTV traffic image from camera #852 on the M25 road. 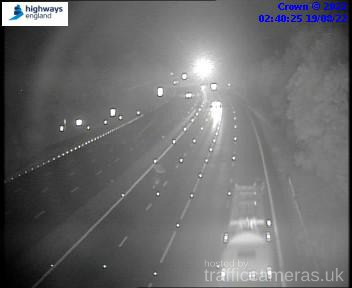 Latest CCTV traffic image from camera #853 on the M25 road. 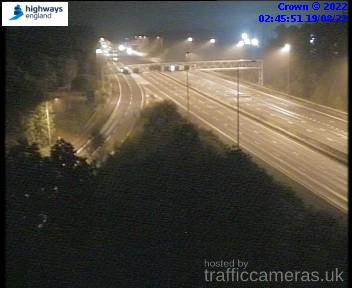 Latest CCTV traffic image from camera #854 on the M25 road. 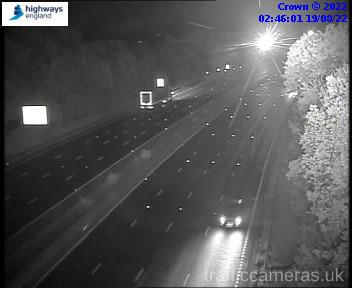 Latest CCTV traffic image from camera #856 on the M25 road. 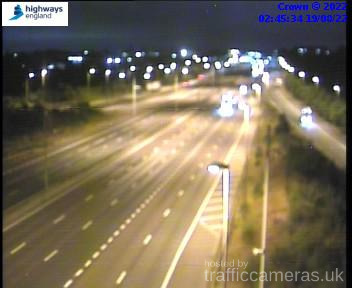 Latest CCTV traffic image from camera #857 on the M25 road. 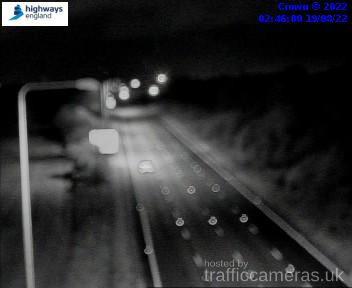 Latest CCTV traffic image from camera #858 on the M25 road. 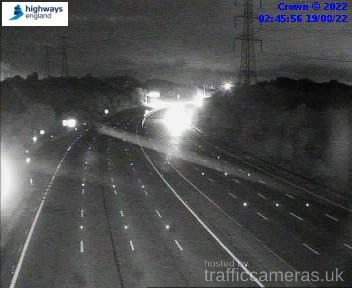 Latest CCTV traffic image from camera #859 on the M25 road. Latest CCTV traffic image from camera #860 on the M25 road. 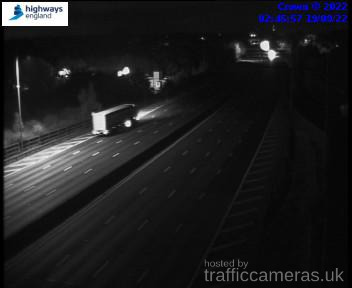 Latest CCTV traffic image from camera #861 on the M25 road. 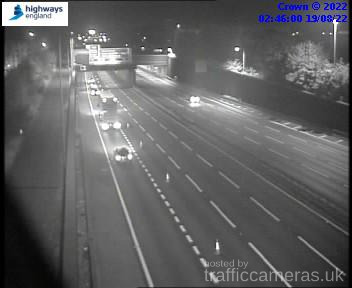 Latest CCTV traffic image from camera #862 on the M25 road. 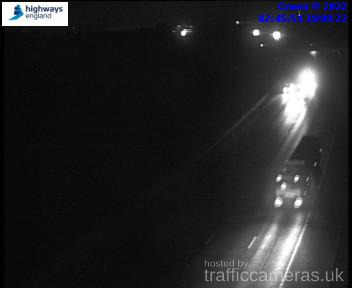 Latest CCTV traffic image from camera #863 on the M25 road. 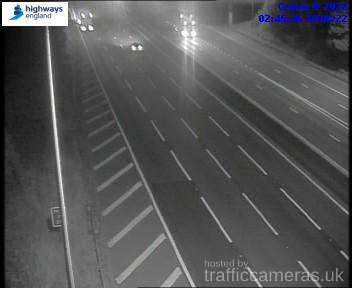 Latest CCTV traffic image from camera #864 on the M25 road. 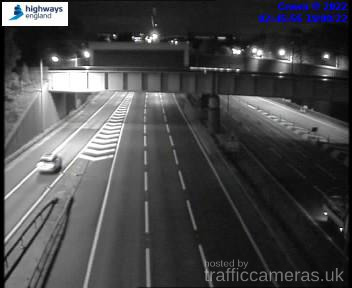 Latest CCTV traffic image from camera #865 on the M25 road. Latest CCTV traffic image from camera #866 on the M25 road. 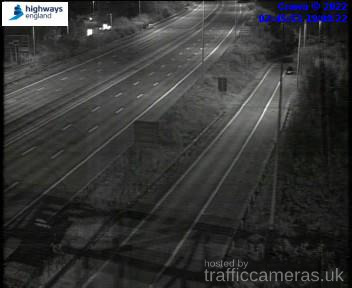 Latest CCTV traffic image from camera #867 on the M25 road. 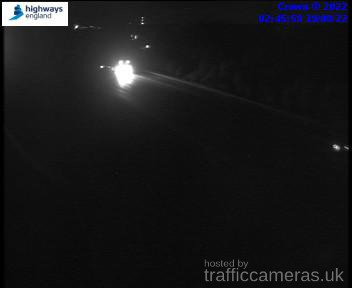 Latest CCTV traffic image from camera #868 on the M25 road. 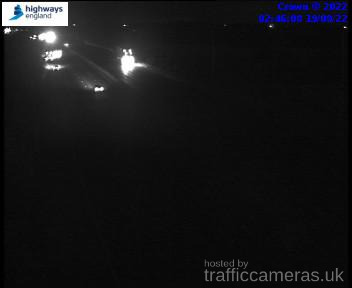 Latest CCTV traffic image from camera #869 on the M25 road. Latest CCTV traffic image from camera #870 on the M25 road. 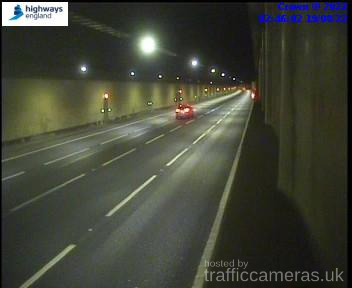 Latest CCTV traffic image from camera #871 on the M25 road. 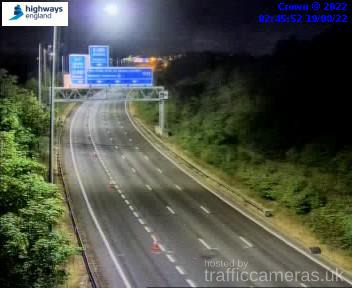 Latest CCTV traffic image from camera #872 on the M25 road. 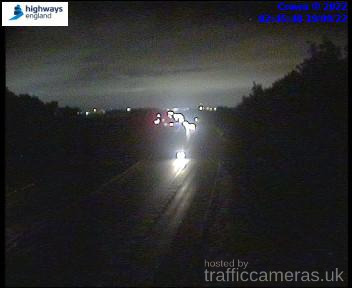 Latest CCTV traffic image from camera #873 on the M25 road. 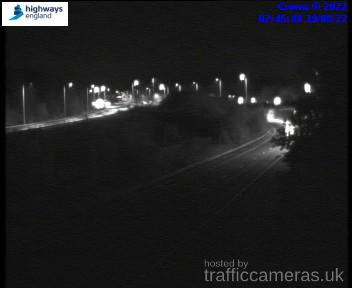 Latest CCTV traffic image from camera #874 on the M25 road. Latest CCTV traffic image from camera #875 on the M25 road. 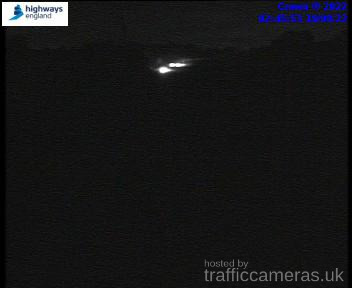 Latest CCTV traffic image from camera #876 on the M25 road. 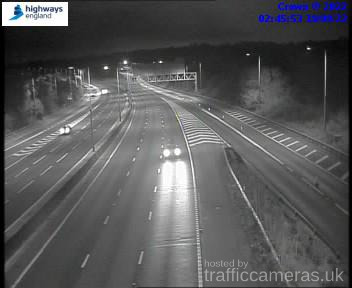 Latest CCTV traffic image from camera #877 on the M25 road. 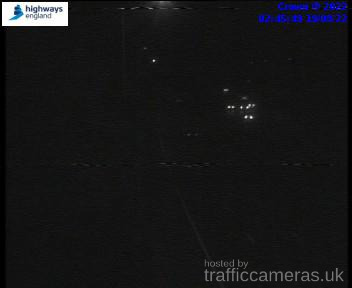 Latest CCTV traffic image from camera #878 on the M25 road. 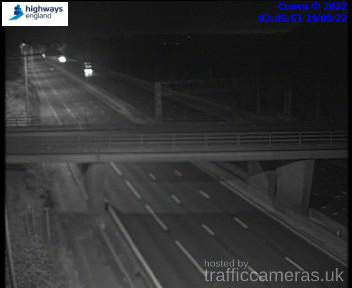 Latest CCTV traffic image from camera #879 on the M25 road. Latest CCTV traffic image from camera #880 on the M25 road. 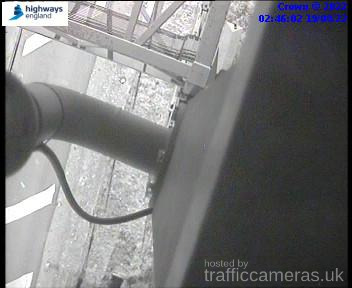 Latest CCTV traffic image from camera #881 on the M25 road. 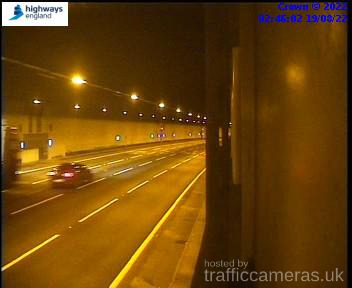 Latest CCTV traffic image from camera #882 on the M25 road. 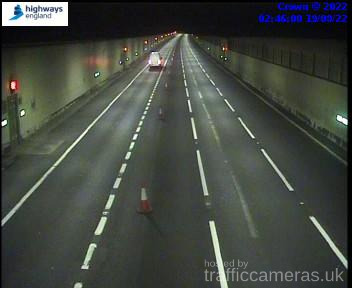 Latest CCTV traffic image from camera #883 on the M25 road. 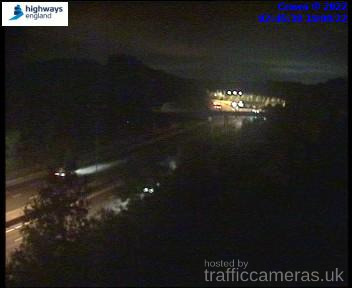 Latest CCTV traffic image from camera #884 on the M25 road. Latest CCTV traffic image from camera #885 on the M25 road. Latest CCTV traffic image from camera #886 on the M25 road. 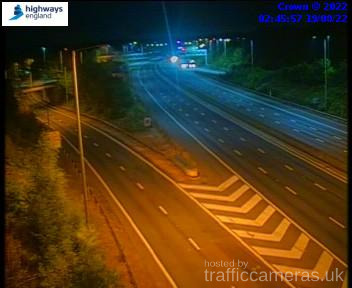 Latest CCTV traffic image from camera #887 on the M25 road. Latest CCTV traffic image from camera #889 on the M25 road. Latest CCTV traffic image from camera #890 on the M25 road. 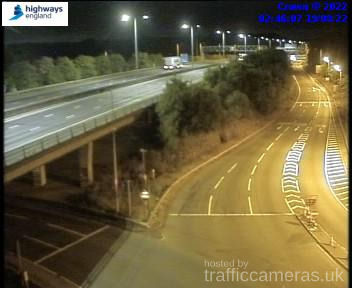 Latest CCTV traffic image from camera #891 on the M25 road. 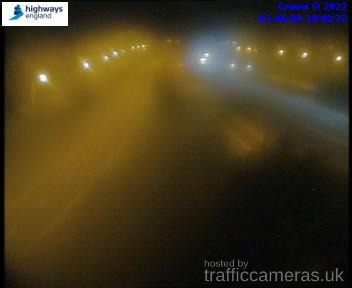 Latest CCTV traffic image from camera #892 on the M25 road. Latest CCTV traffic image from camera #893 on the M25 road. 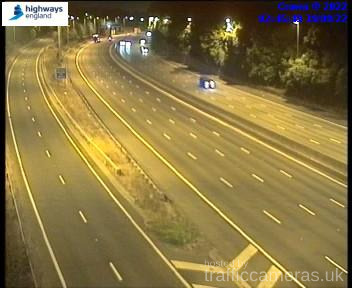 Latest CCTV traffic image from camera #894 on the M25 road. 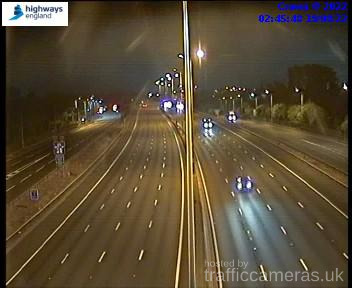 Latest CCTV traffic image from camera #895 on the M25 road. Latest CCTV traffic image from camera #896 on the M25 road. 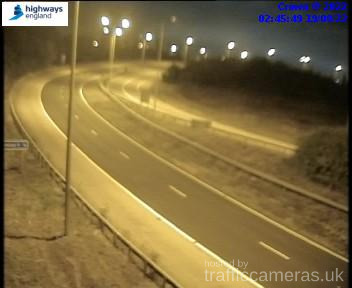 Latest CCTV traffic image from camera #897 on the M25 road. 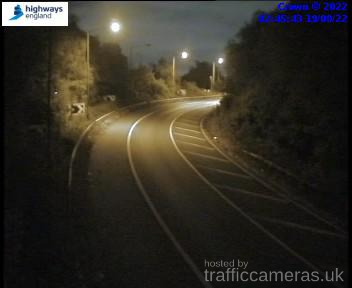 Latest CCTV traffic image from camera #898 on the M25 road. Latest CCTV traffic image from camera #899 on the M25 road. Latest CCTV traffic image from camera #900 on the M25 road. 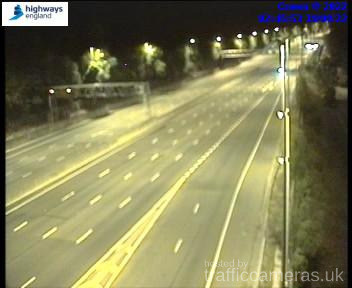 Latest CCTV traffic image from camera #901 on the M25 road. Latest CCTV traffic image from camera #902 on the M25 road. 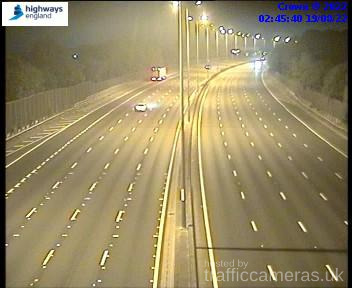 Latest CCTV traffic image from camera #903 on the M25 road. Latest CCTV traffic image from camera #904 on the M25 road. Latest CCTV traffic image from camera #905 on the M25 road. 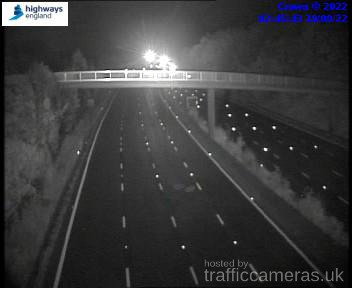 Latest CCTV traffic image from camera #906 on the M25 road. 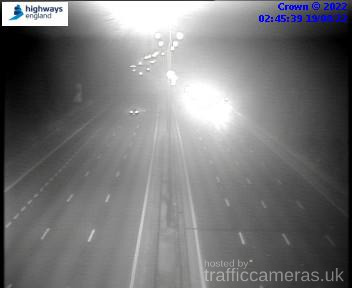 Latest CCTV traffic image from camera #907 on the M25 road. 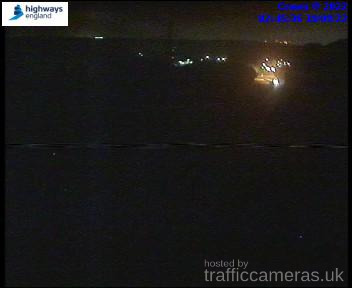 Latest CCTV traffic image from camera #908 on the M25 road. 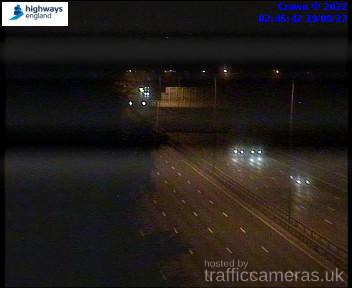 Latest CCTV traffic image from camera #909 on the M25 road. 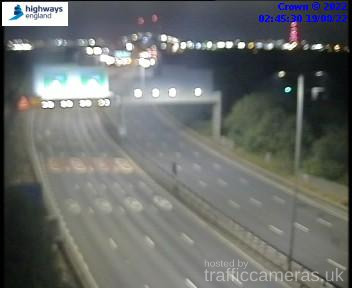 Latest CCTV traffic image from camera #910 on the M25 road. 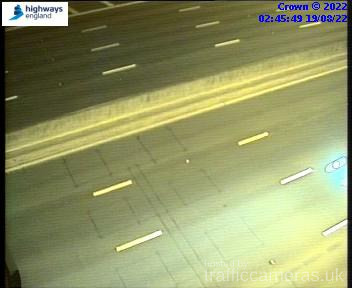 Latest CCTV traffic image from camera #911 on the M25 road. 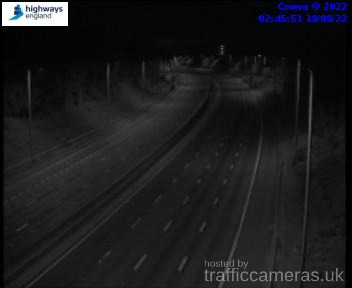 Latest CCTV traffic image from camera #912 on the M25 road. 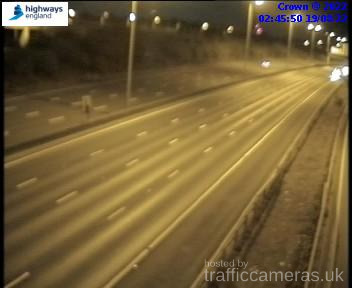 Latest CCTV traffic image from camera #913 on the M25 road. Latest CCTV traffic image from camera #914 on the M25 road. Latest CCTV traffic image from camera #915 on the M25 road. Latest CCTV traffic image from camera #916 on the M25 road. 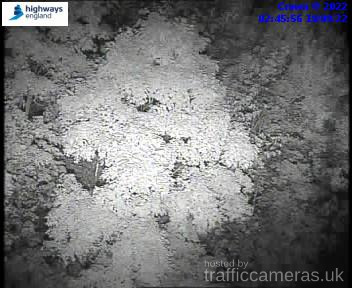 Latest CCTV traffic image from camera #917 on the M25 road. 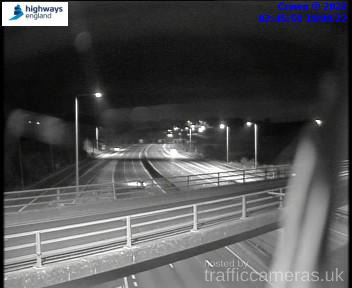 Latest CCTV traffic image from camera #918 on the M25 road. 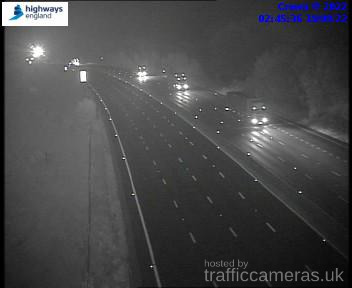 Latest CCTV traffic image from camera #919 on the M25 road. 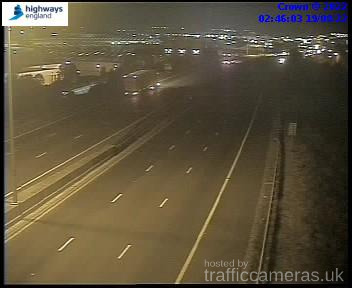 Latest CCTV traffic image from camera #920 on the M25 road. 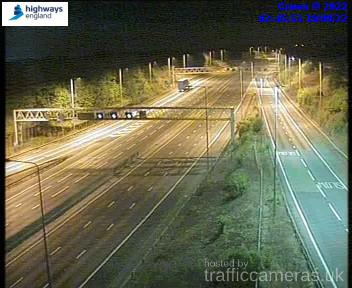 Latest CCTV traffic image from camera #921 on the M25 road. 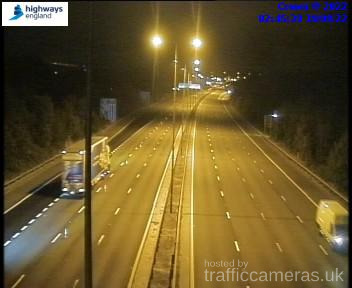 Latest CCTV traffic image from camera #922 on the M25 road. 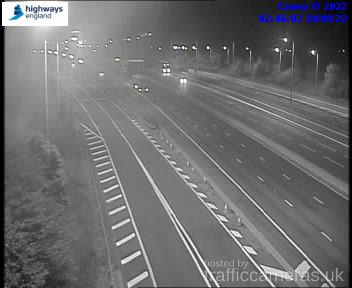 Latest CCTV traffic image from camera #923 on the M25 road. Latest CCTV traffic image from camera #925 on the M25 road. Latest CCTV traffic image from camera #926 on the M25 road. 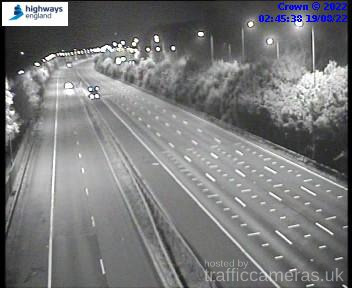 Latest CCTV traffic image from camera #927 on the M25 road. 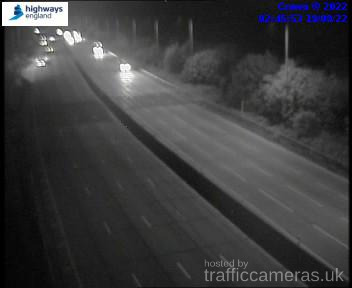 Latest CCTV traffic image from camera #928 on the M25 road. Latest CCTV traffic image from camera #929 on the M25 road. 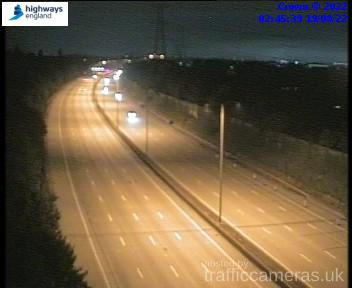 Latest CCTV traffic image from camera #930 on the M25 road. 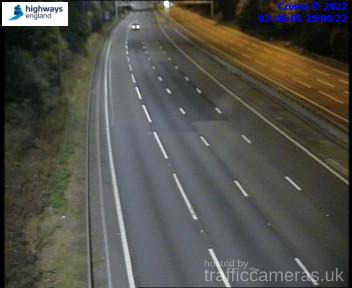 Latest CCTV traffic image from camera #931 on the M25 road. 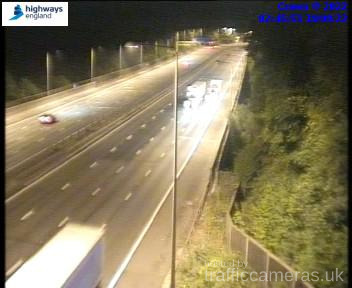 Latest CCTV traffic image from camera #932 on the M25 road. 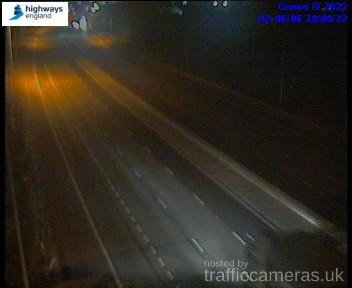 Latest CCTV traffic image from camera #933 on the M25 road. 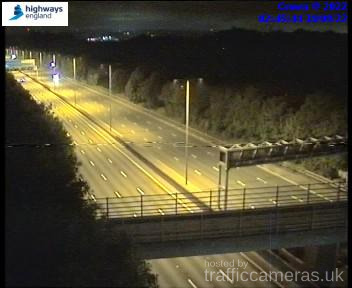 Latest CCTV traffic image from camera #934 on the M25 road. 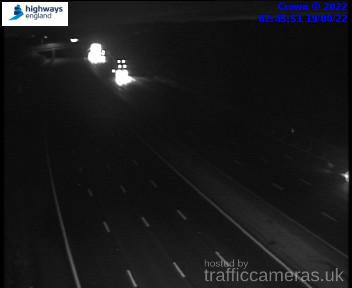 Latest CCTV traffic image from camera #935 on the M25 road. 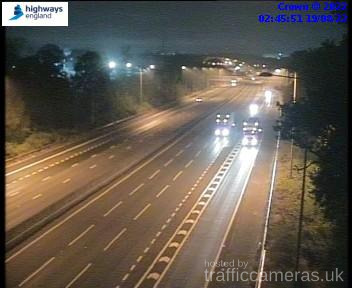 Latest CCTV traffic image from camera #936 on the M25 road. 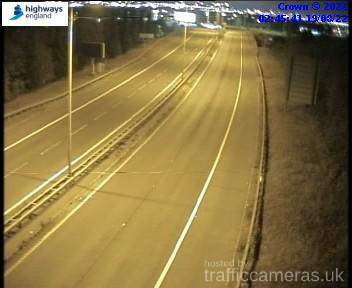 Latest CCTV traffic image from camera #937 on the M25 road. 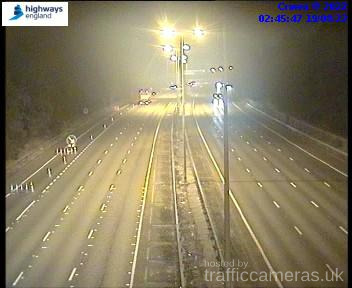 Latest CCTV traffic image from camera #938 on the M25 road. 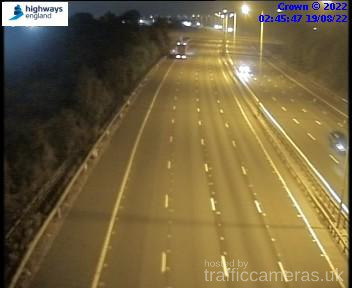 Latest CCTV traffic image from camera #939 on the M25 road. 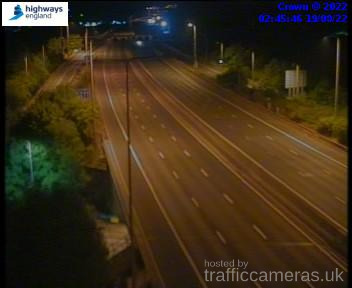 Latest CCTV traffic image from camera #940 on the M25 road. 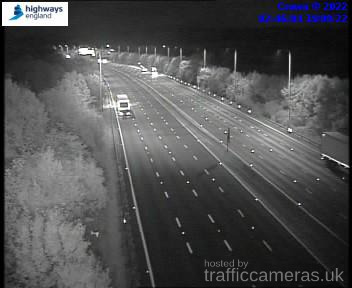 Latest CCTV traffic image from camera #941 on the M25 road. 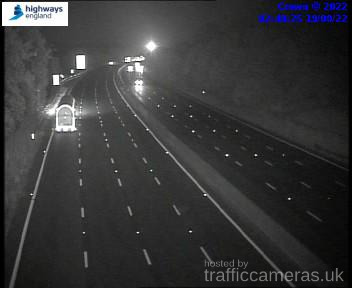 Latest CCTV traffic image from camera #942 on the M25 road. 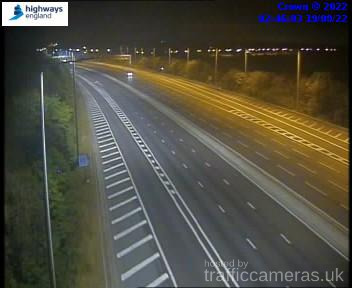 Latest CCTV traffic image from camera #944 on the M25 road. 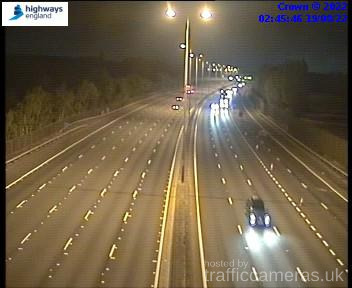 Latest CCTV traffic image from camera #945 on the M25 road. 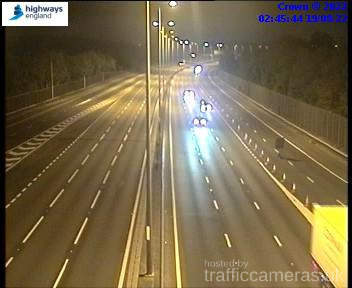 Latest CCTV traffic image from camera #946 on the M25 road. 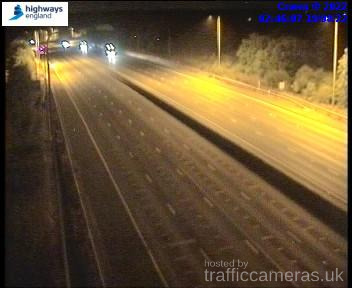 Latest CCTV traffic image from camera #948 on the M25 road. 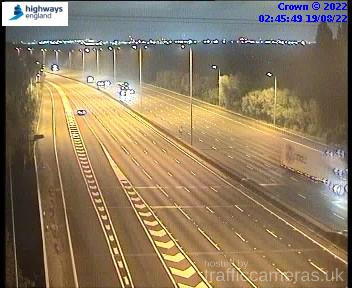 Latest CCTV traffic image from camera #949 on the M25 road. 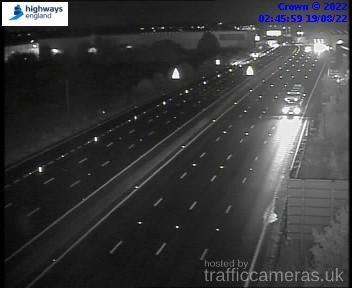 Latest CCTV traffic image from camera #950 on the M25 road. 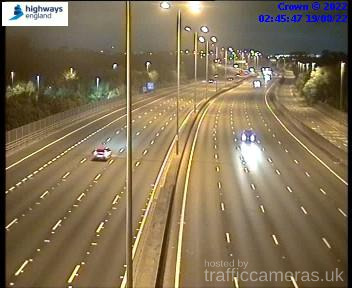 Latest CCTV traffic image from camera #951 on the M25 road. 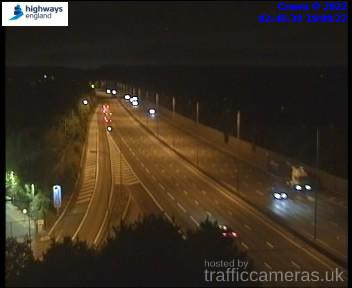 Latest CCTV traffic image from camera #952 on the M25 road. 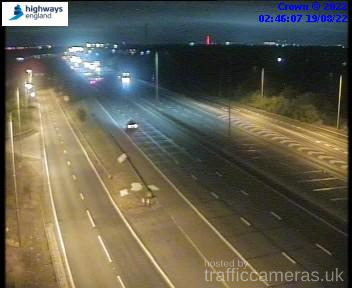 Latest CCTV traffic image from camera #953 on the M25 road. 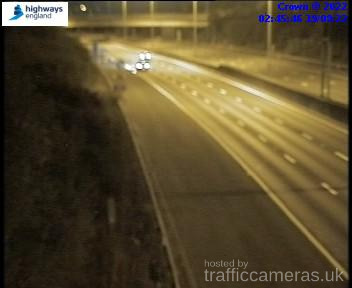 Latest CCTV traffic image from camera #954 on the M25 road. 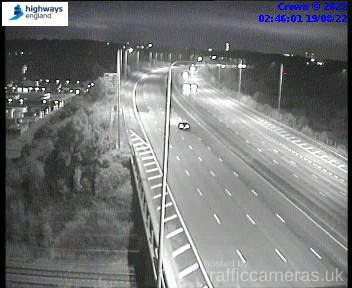 Latest CCTV traffic image from camera #956 on the M25 road. 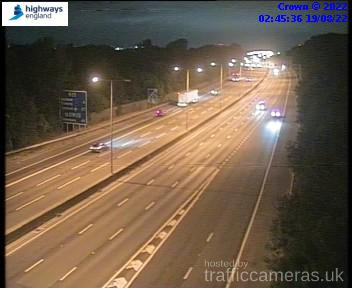 Latest CCTV traffic image from camera #957 on the M25 road. 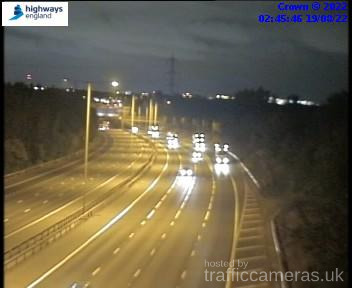 Latest CCTV traffic image from camera #958 on the M25 road. 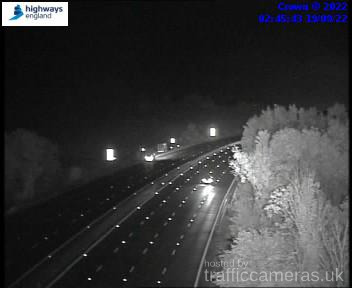 Latest CCTV traffic image from camera #959 on the M25 road. 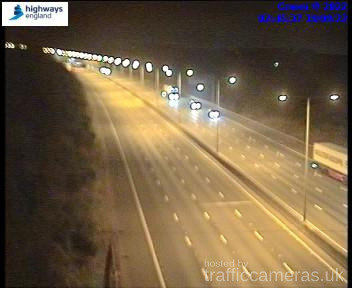 Latest CCTV traffic image from camera #960 on the M25 road. 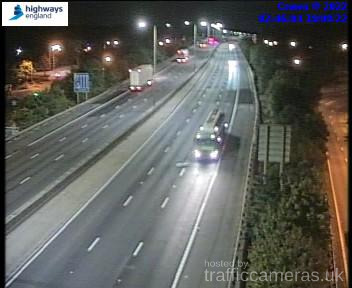 Latest CCTV traffic image from camera #961 on the M25 road. 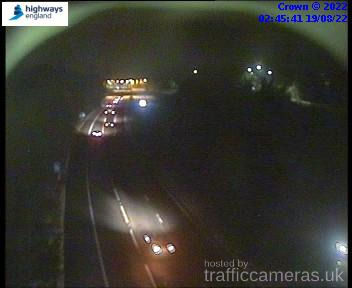 Latest CCTV traffic image from camera #962 on the M25 road. 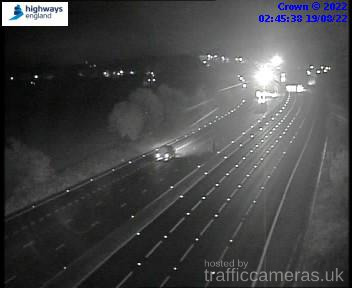 Latest CCTV traffic image from camera #963 on the M25 road. 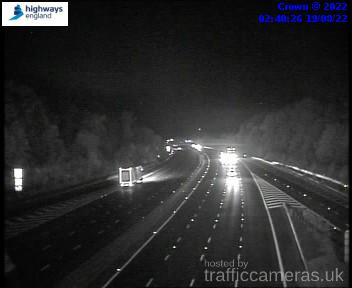 Latest CCTV traffic image from camera #964 on the M25 road. 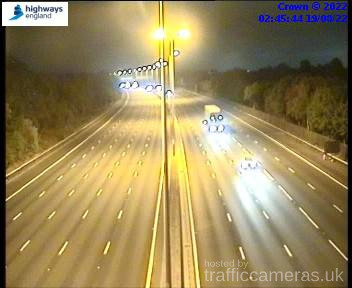 Latest CCTV traffic image from camera #965 on the M25 road. 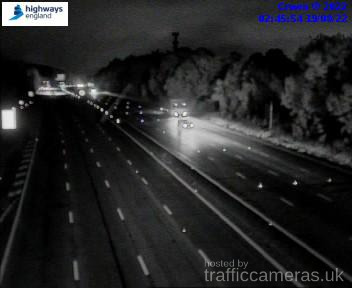 Latest CCTV traffic image from camera #966 on the M25 road. 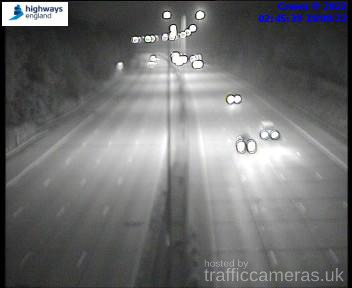 Latest CCTV traffic image from camera #967 on the M25 road. 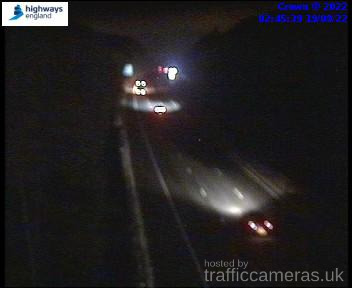 Latest CCTV traffic image from camera #968 on the M25 road. 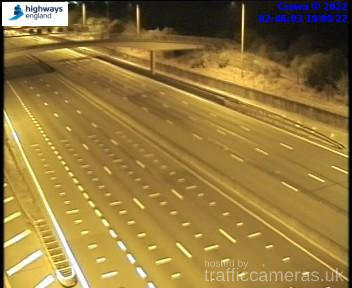 Latest CCTV traffic image from camera #969 on the M25 road. 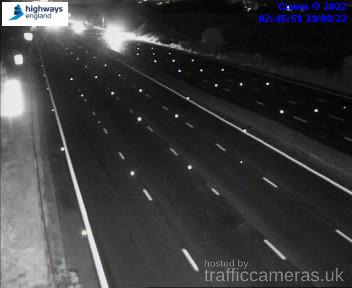 Latest CCTV traffic image from camera #970 on the M25 road. 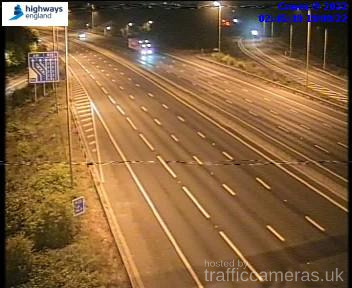 Latest CCTV traffic image from camera #971 on the M25 road. 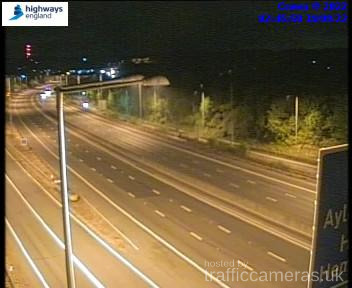 Latest CCTV traffic image from camera #972 on the M25 road. 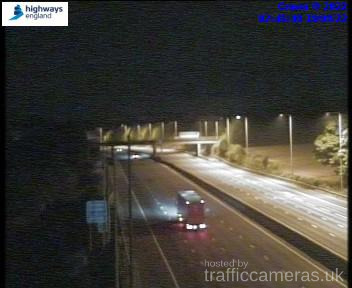 Latest CCTV traffic image from camera #973 on the M25 road. 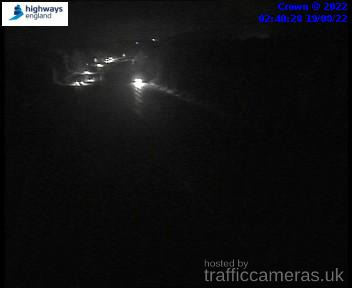 Latest CCTV traffic image from camera #974 on the M25 road. 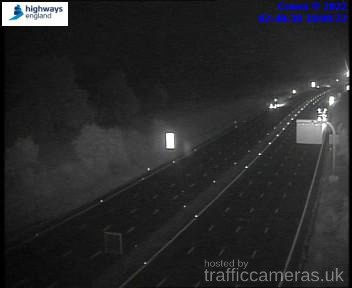 Latest CCTV traffic image from camera #975 on the M25 road. 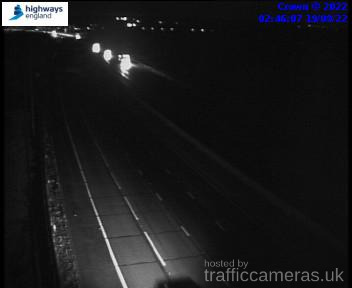 Latest CCTV traffic image from camera #976 on the M25 road. 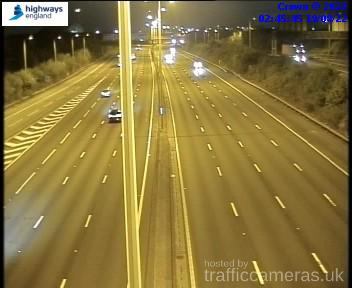 Latest CCTV traffic image from camera #977 on the M25 road. 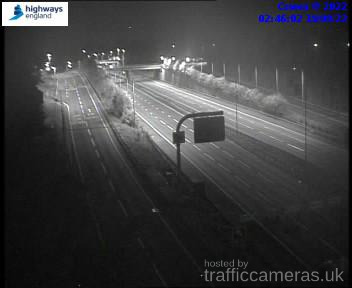 Latest CCTV traffic image from camera #978 on the M25 road. 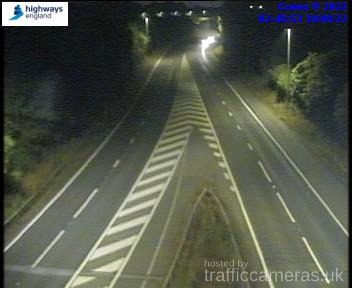 Latest CCTV traffic image from camera #979 on the M25 road. 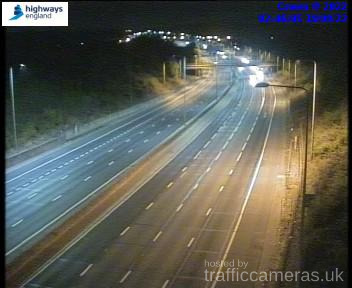 Latest CCTV traffic image from camera #980 on the M25 road. 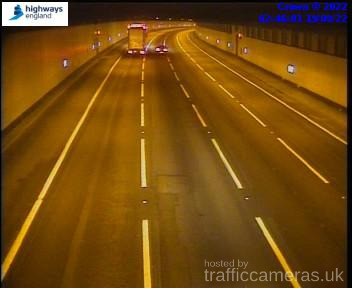 Latest CCTV traffic image from camera #981 on the M25 road. 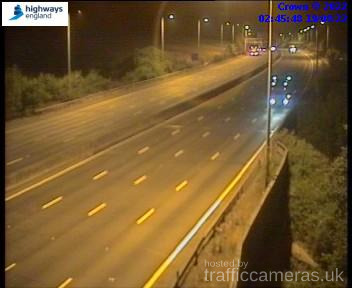 Latest CCTV traffic image from camera #982 on the M25 road. 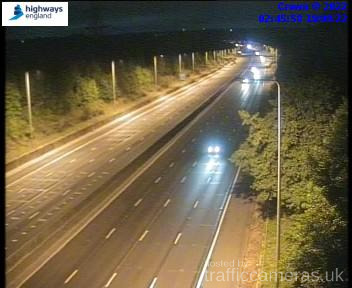 Latest CCTV traffic image from camera #983 on the M25 road. 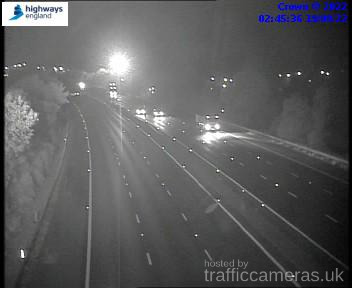 Latest CCTV traffic image from camera #984 on the M25 road. 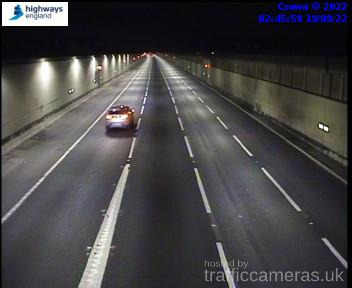 Latest CCTV traffic image from camera #985 on the M25 road. 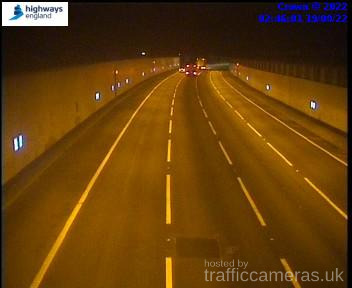 Latest CCTV traffic image from camera #986 on the M25 road. 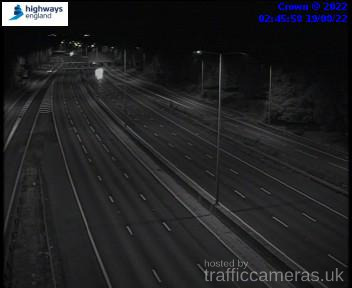 Latest CCTV traffic image from camera #987 on the M25 road. 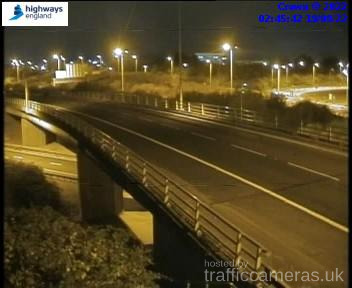 Latest CCTV traffic image from camera #988 on the M25 road. 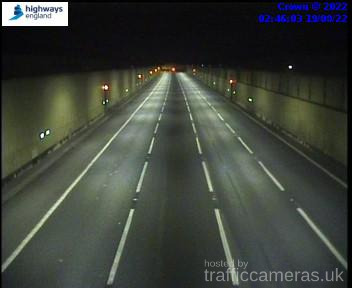 Latest CCTV traffic image from camera #989 on the M25 road. Latest CCTV traffic image from camera #990 on the M25 road. 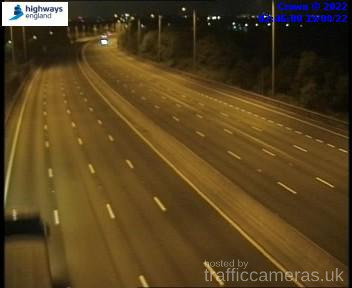 Latest CCTV traffic image from camera #991 on the M25 road. 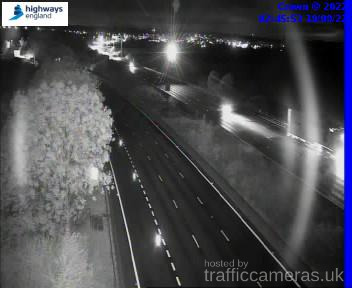 Latest CCTV traffic image from camera #992 on the M25 road. 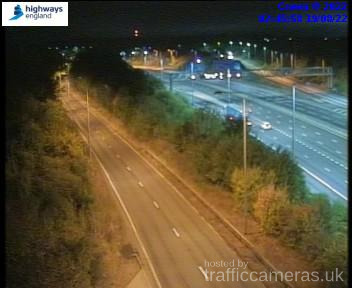 Latest CCTV traffic image from camera #993 on the M25 road. 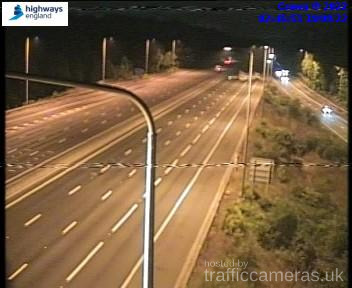 Latest CCTV traffic image from camera #994 on the M25 road. 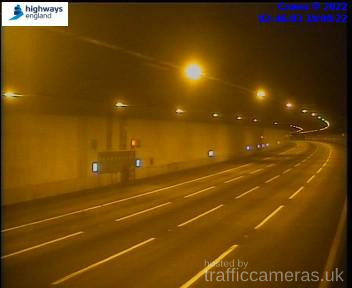 Latest CCTV traffic image from camera #995 on the M25 road. 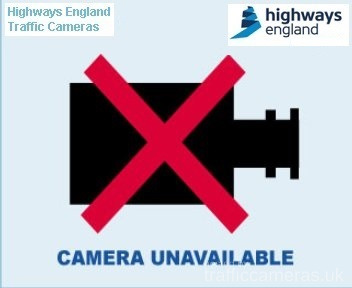 Latest CCTV traffic image from camera #996 on the M25 road. 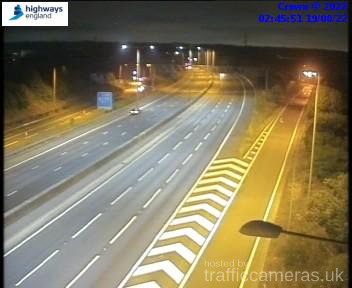 Latest CCTV traffic image from camera #997 on the M25 road. 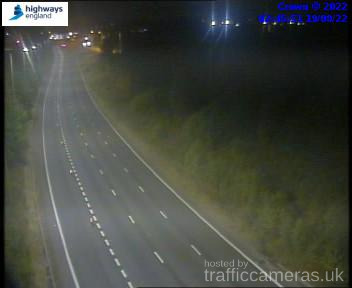 Latest CCTV traffic image from camera #998 on the M25 road. 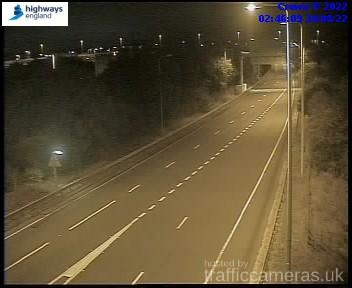 Latest CCTV traffic image from camera #999 on the M25 road. Latest CCTV traffic image from camera #1002 on the M25 road. 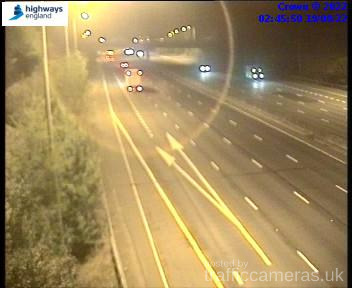 Latest CCTV traffic image from camera #1003 on the M25 road. 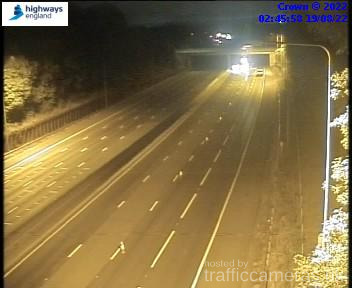 Latest CCTV traffic image from camera #1004 on the M25 road. 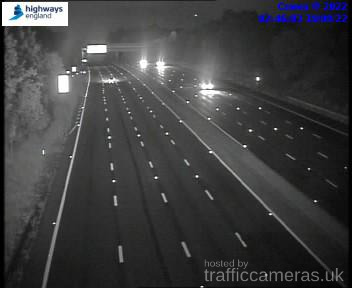 Latest CCTV traffic image from camera #1005 on the M25 road. 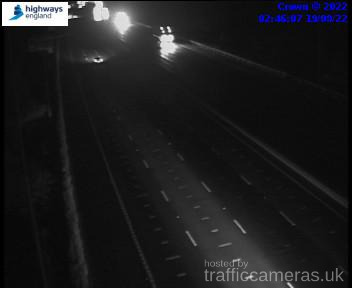 Latest CCTV traffic image from camera #1006 on the M25 road. 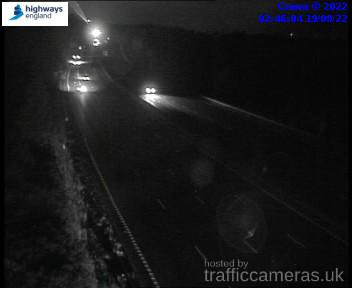 Latest CCTV traffic image from camera #1007 on the M25 road. 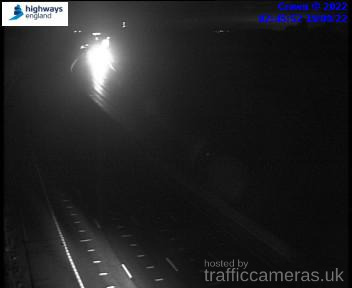 Latest CCTV traffic image from camera #1008 on the M25 road. 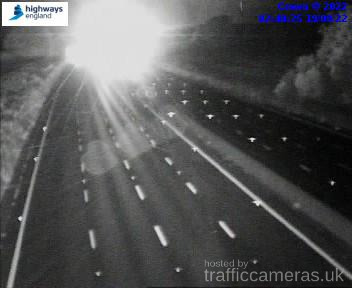 Latest CCTV traffic image from camera #1009 on the M25 road. 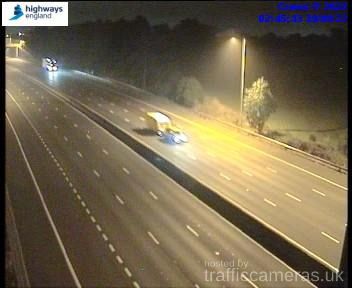 Latest CCTV traffic image from camera #1010 on the M25 road. 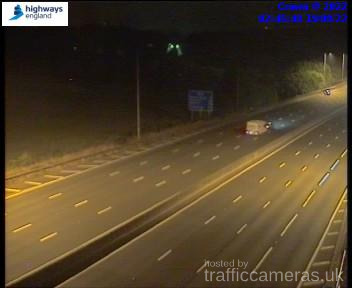 Latest CCTV traffic image from camera #1011 on the M25 road. 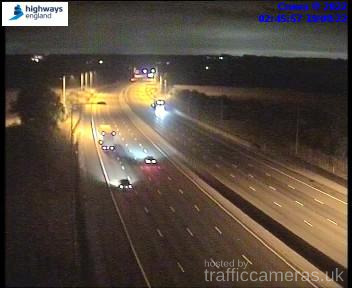 Latest CCTV traffic image from camera #1014 on the M25 road. 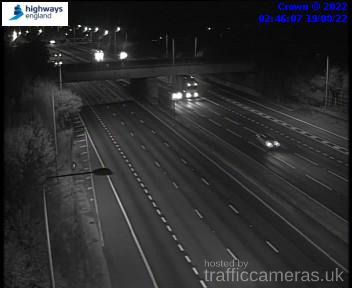 Latest CCTV traffic image from camera #1015 on the M25 road. Latest CCTV traffic image from camera #1016 on the M25 road. Latest CCTV traffic image from camera #1017 on the M25 road. Latest CCTV traffic image from camera #1018 on the M25 road. Latest CCTV traffic image from camera #1019 on the M25 road. Latest CCTV traffic image from camera #1021 on the M25 road. 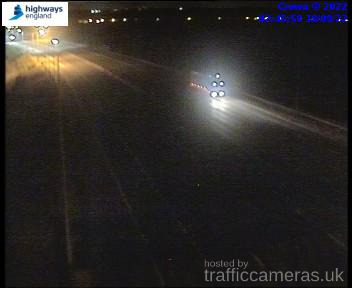 Latest CCTV traffic image from camera #1022 on the M25 road. 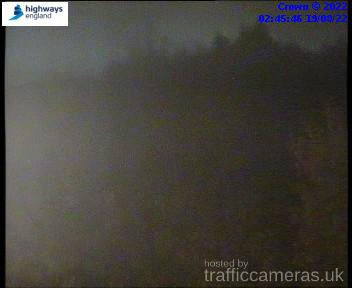 Latest CCTV traffic image from camera #1023 on the M25 road. 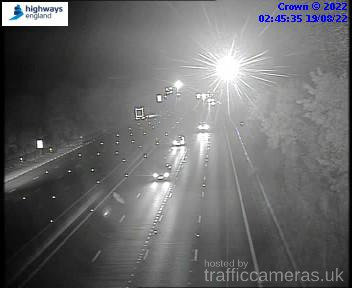 Latest CCTV traffic image from camera #1024 on the M25 road. 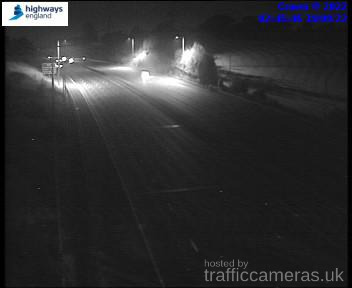 Latest CCTV traffic image from camera #1026 on the M25 road. 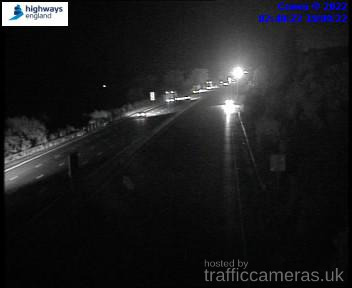 Latest CCTV traffic image from camera #1027 on the M25 road. 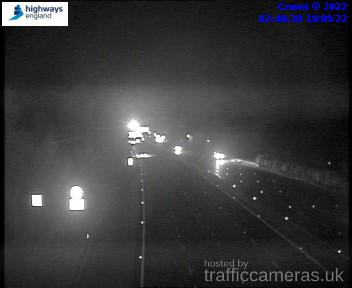 Latest CCTV traffic image from camera #1028 on the M25 road. 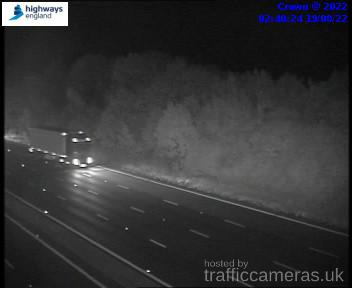 Latest CCTV traffic image from camera #1029 on the M25 road. 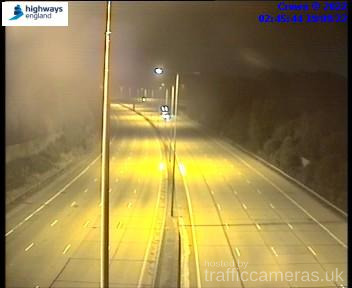 Latest CCTV traffic image from camera #1030 on the M25 road. 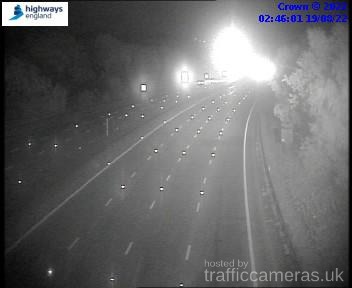 Latest CCTV traffic image from camera #1033 on the M25 road. 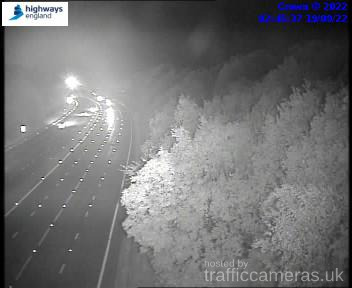 Latest CCTV traffic image from camera #1034 on the M25 road. 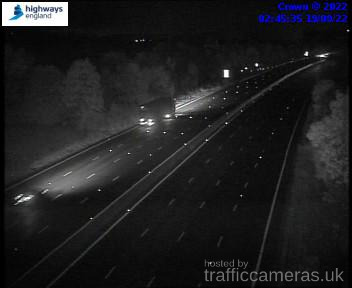 Latest CCTV traffic image from camera #1035 on the M25 road. 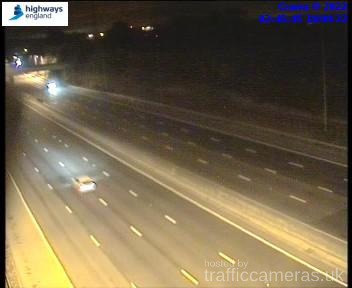 Latest CCTV traffic image from camera #1036 on the M25 road. 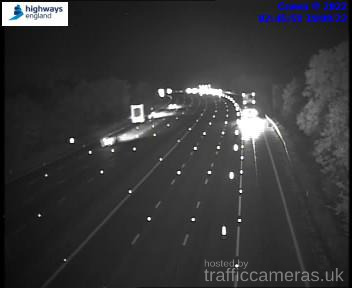 Latest CCTV traffic image from camera #1037 on the M25 road. 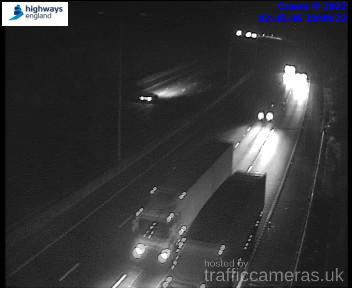 Latest CCTV traffic image from camera #1038 on the M25 road. 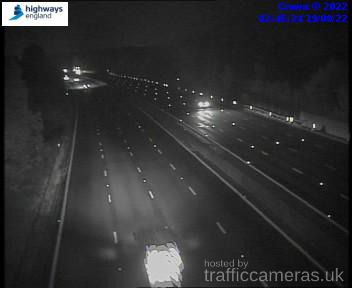 Latest CCTV traffic image from camera #1039 on the M25 road. 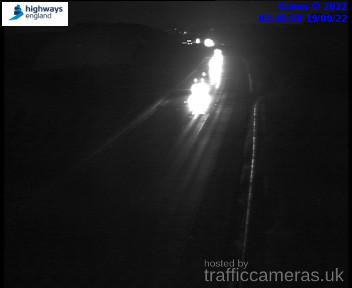 Latest CCTV traffic image from camera #1040 on the M25 road. 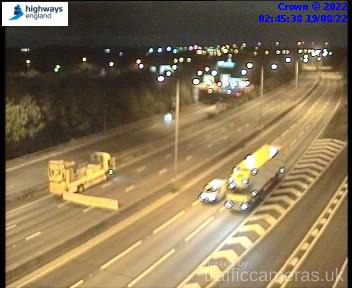 Latest CCTV traffic image from camera #1041 on the M25 road. 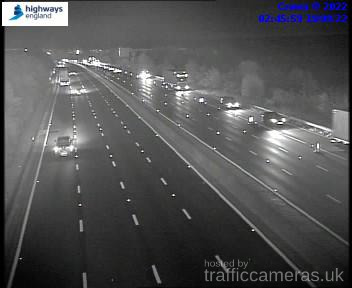 Latest CCTV traffic image from camera #1042 on the M25 road. 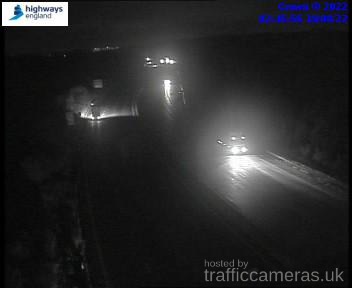 Latest CCTV traffic image from camera #1043 on the M25 road. 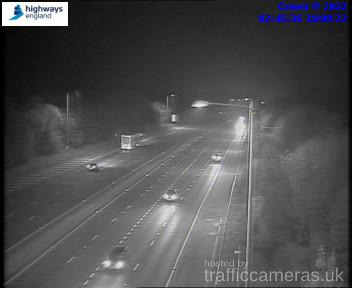 Latest CCTV traffic image from camera #1044 on the M25 road. 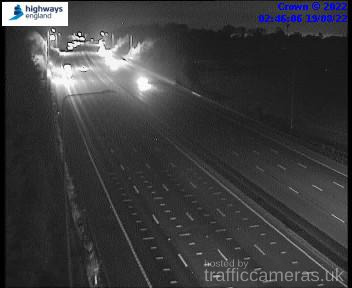 Latest CCTV traffic image from camera #1045 on the M25 road. 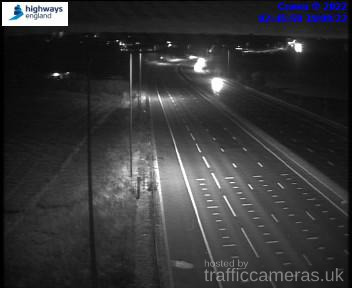 Latest CCTV traffic image from camera #1047 on the M25 road. 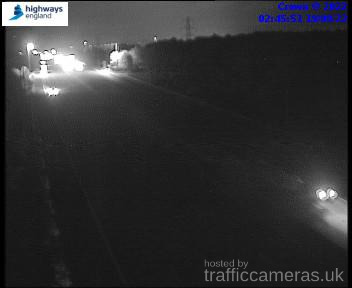 Latest CCTV traffic image from camera #1048 on the M25 road. 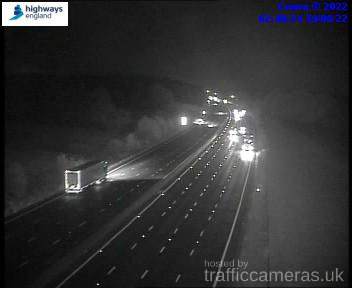 Latest CCTV traffic image from camera #1049 on the M25 road. 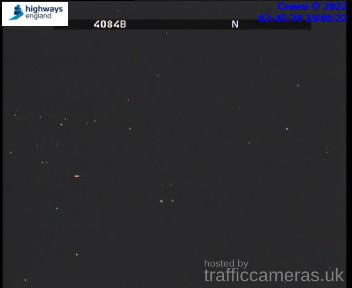 Latest CCTV traffic image from camera #1050 on the M25 road. 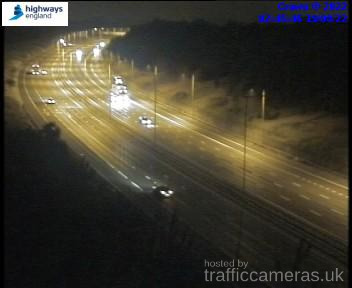 Latest CCTV traffic image from camera #1051 on the M25 road. 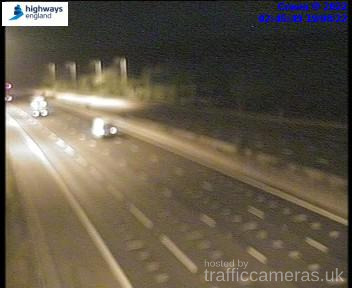 Latest CCTV traffic image from camera #1052 on the M25 road. 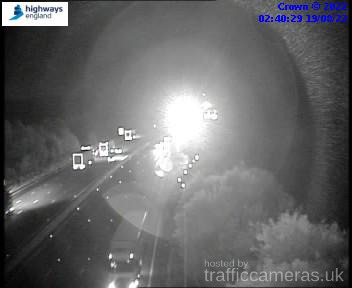 Latest CCTV traffic image from camera #1053 on the M25 road. 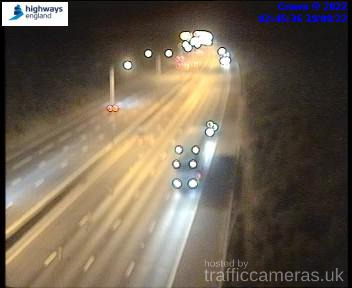 Latest CCTV traffic image from camera #1054 on the M25 road. 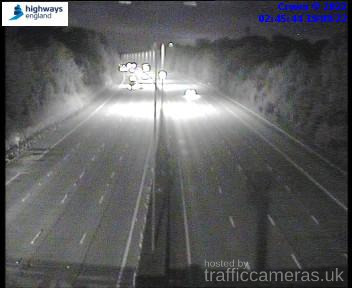 Latest CCTV traffic image from camera #1055 on the M25 road. 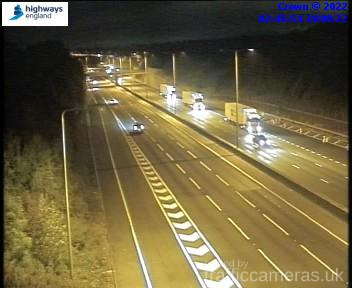 Latest CCTV traffic image from camera #1056 on the M25 road. 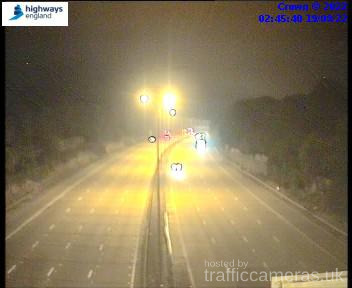 Latest CCTV traffic image from camera #1057 on the M25 road. 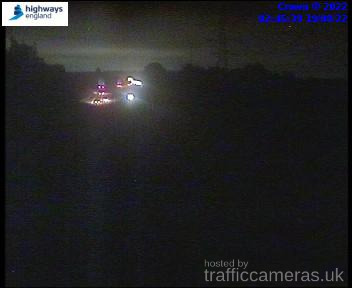 Latest CCTV traffic image from camera #1058 on the M25 road. 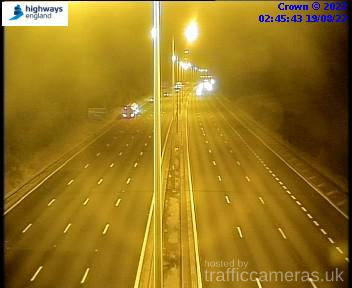 Latest CCTV traffic image from camera #1059 on the M25 road. Latest CCTV traffic image from camera #1060 on the M25 road. 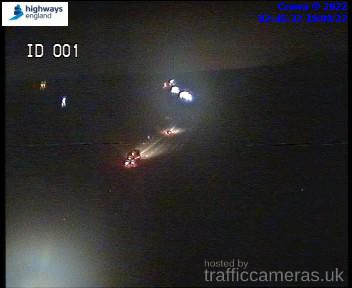 Latest CCTV traffic image from camera #1061 on the M25 road. 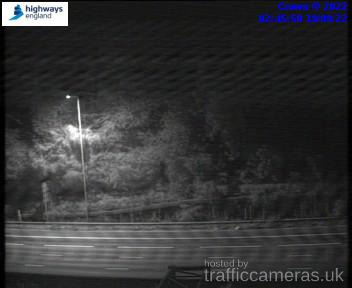 Latest CCTV traffic image from camera #1062 on the M25 road. Latest CCTV traffic image from camera #1063 on the M25 road. 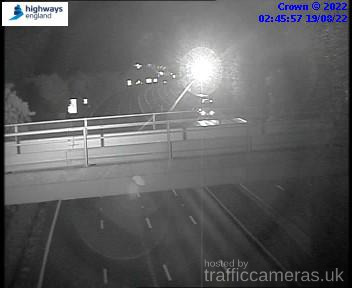 Latest CCTV traffic image from camera #1064 on the M25 road. 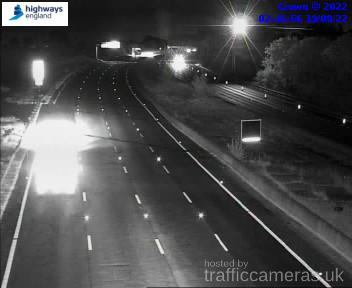 Latest CCTV traffic image from camera #1065 on the M25 road. 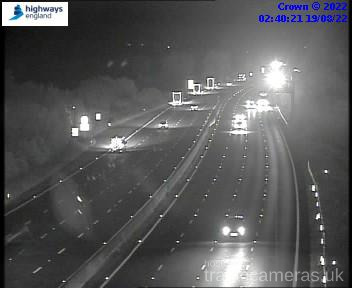 Latest CCTV traffic image from camera #1066 on the M25 road. 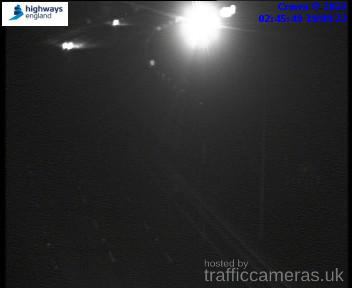 Latest CCTV traffic image from camera #1067 on the M25 road. 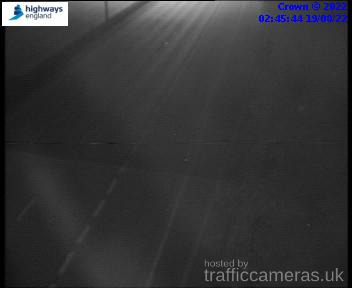 Latest CCTV traffic image from camera #1068 on the M25 road. 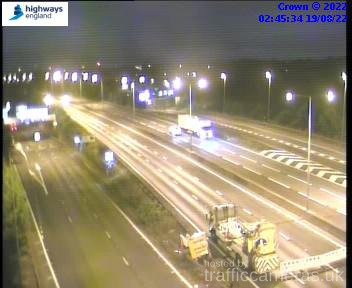 Latest CCTV traffic image from camera #1069 on the M25 road. 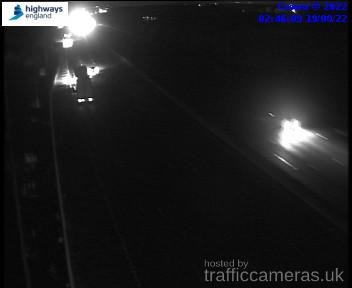 Latest CCTV traffic image from camera #1070 on the M25 road. 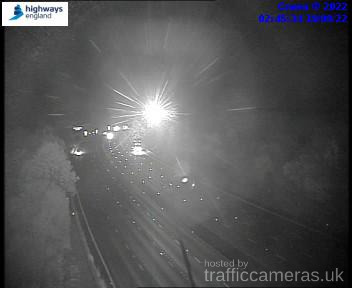 Latest CCTV traffic image from camera #1071 on the M25 road. 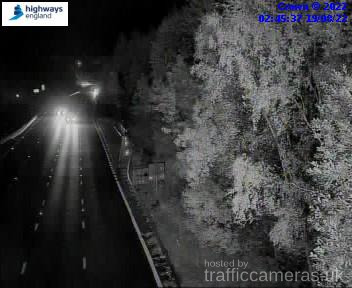 Latest CCTV traffic image from camera #1072 on the M25 road. Latest CCTV traffic image from camera #1073 on the M25 road. 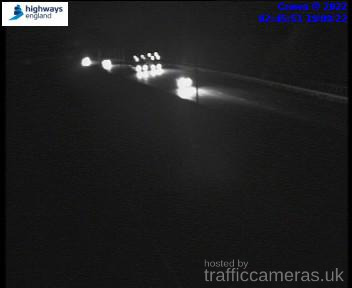 Latest CCTV traffic image from camera #1075 on the M25 road. 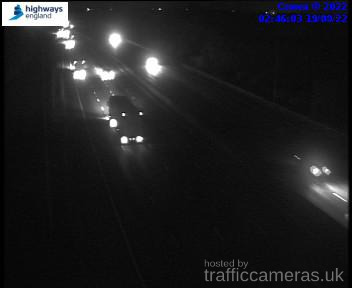 Latest CCTV traffic image from camera #1076 on the M25 road. 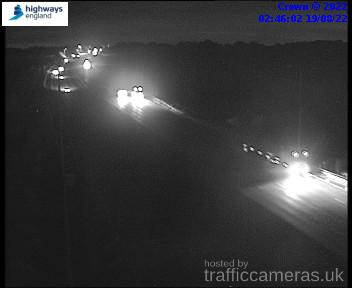 Latest CCTV traffic image from camera #1077 on the M25 road. 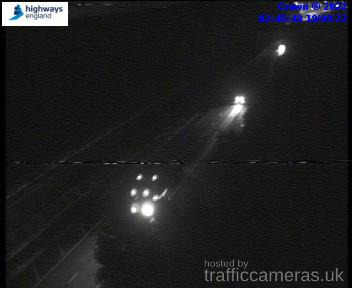 Latest CCTV traffic image from camera #1078 on the M25 road. 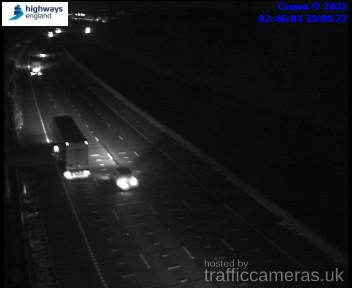 Latest CCTV traffic image from camera #1079 on the M25 road. Latest CCTV traffic image from camera #1080 on the M25 road. 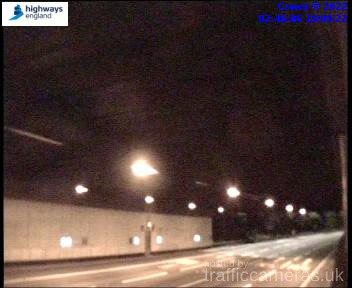 Latest CCTV traffic image from camera #1082 on the M25 road. 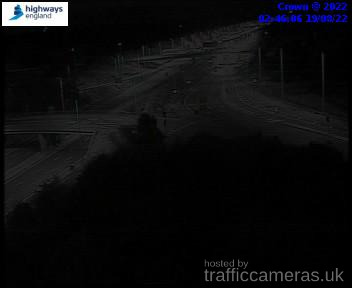 Latest CCTV traffic image from camera #1083 on the M25 road. 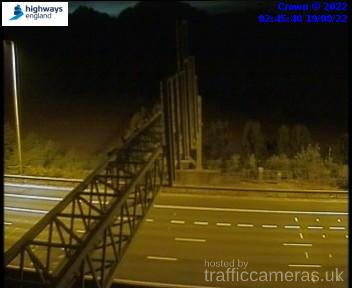 Latest CCTV traffic image from camera #1084 on the M25 road. 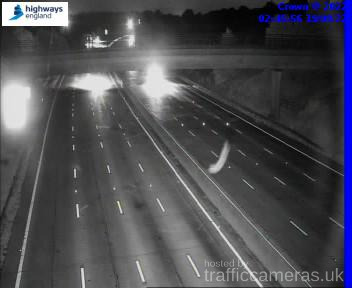 Latest CCTV traffic image from camera #1085 on the M25 road. 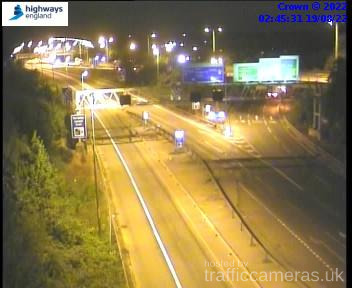 Latest CCTV traffic image from camera #1086 on the M25 road. 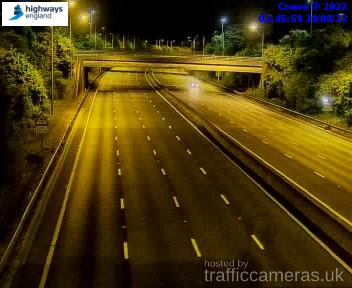 Latest CCTV traffic image from camera #1087 on the M25 road. 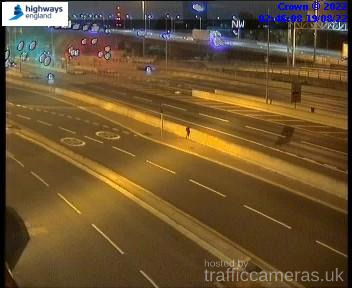 Latest CCTV traffic image from camera #1088 on the M25 road. 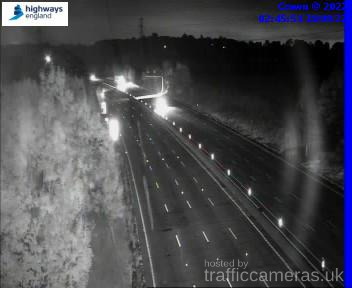 Latest CCTV traffic image from camera #1089 on the M25 road. Latest CCTV traffic image from camera #1090 on the M25 road. 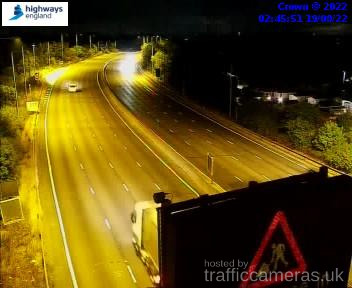 Latest CCTV traffic image from camera #1091 on the M25 road. 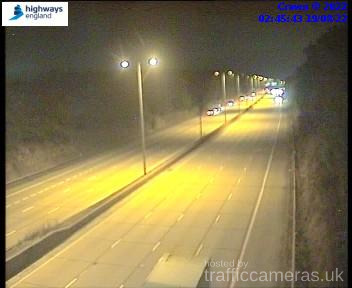 Latest CCTV traffic image from camera #1092 on the M25 road. 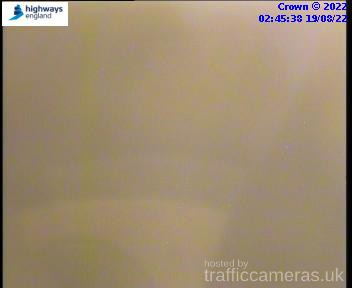 Latest CCTV traffic image from camera #1093 on the M25 road. 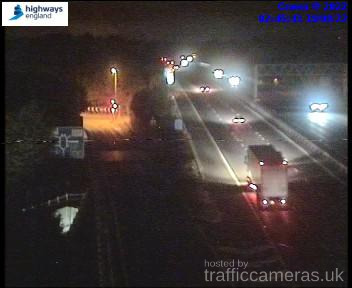 Latest CCTV traffic image from camera #1094 on the M25 road. 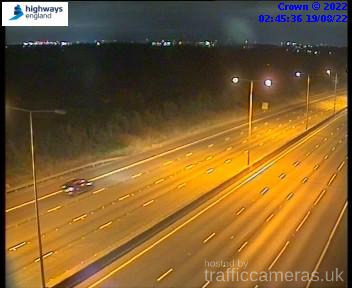 Latest CCTV traffic image from camera #1095 on the M25 road. 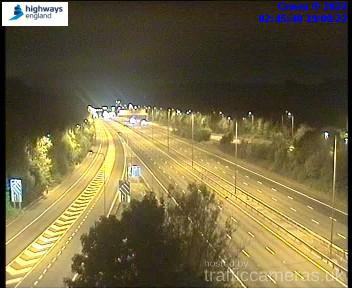 Latest CCTV traffic image from camera #1097 on the M25 road. 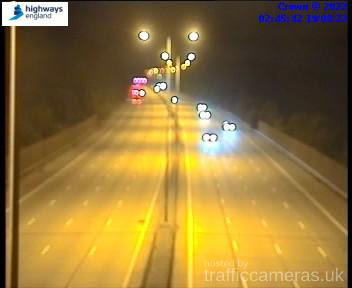 Latest CCTV traffic image from camera #1098 on the M25 road. 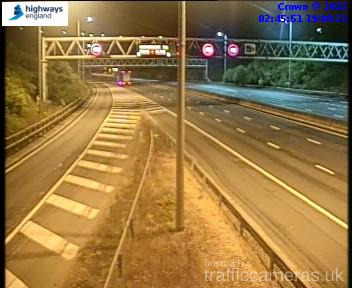 Latest CCTV traffic image from camera #1099 on the M25 road. 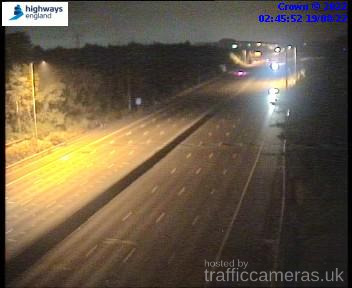 Latest CCTV traffic image from camera #1100 on the M25 road. Latest CCTV traffic image from camera #1101 on the M25 road. 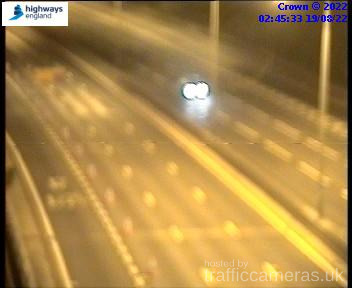 Latest CCTV traffic image from camera #1102 on the M25 road. 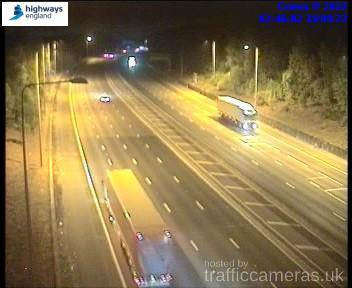 Latest CCTV traffic image from camera #1103 on the M25 road. 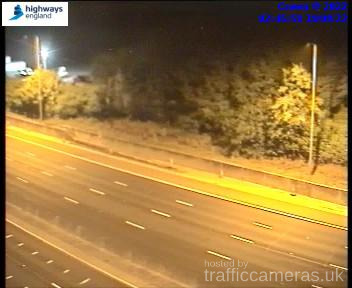 Latest CCTV traffic image from camera #1104 on the M25 road. 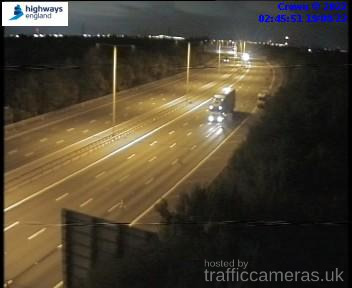 Latest CCTV traffic image from camera #1105 on the M25 road. 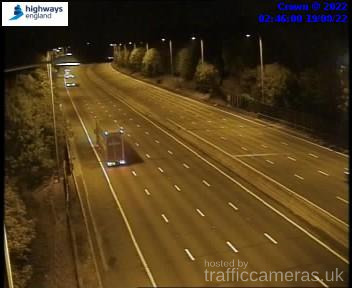 Latest CCTV traffic image from camera #1106 on the M25 road. 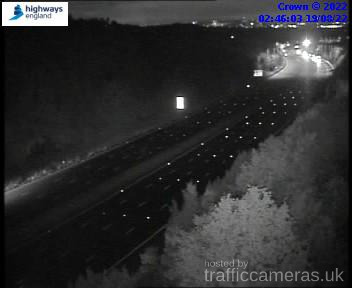 Latest CCTV traffic image from camera #1107 on the M25 road. 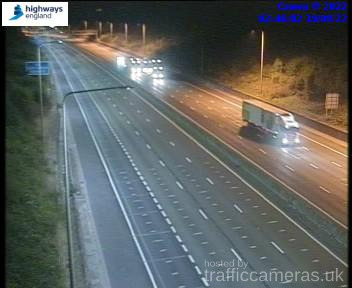 Latest CCTV traffic image from camera #1109 on the M25 road. 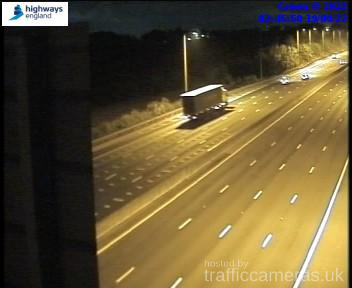 Latest CCTV traffic image from camera #1110 on the M25 road. 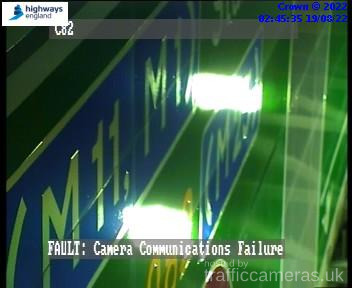 Latest CCTV traffic image from camera #1111 on the M25 road. Latest CCTV traffic image from camera #1112 on the M25 road. Latest CCTV traffic image from camera #1113 on the M25 road. 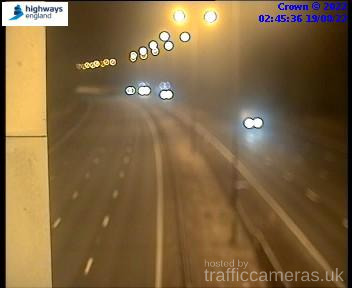 Latest CCTV traffic image from camera #1114 on the M25 road. 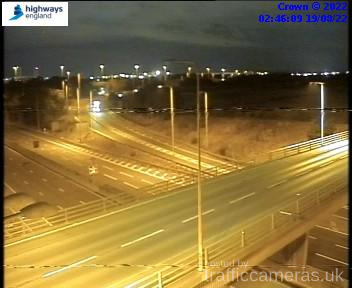 Latest CCTV traffic image from camera #1115 on the M25 road. 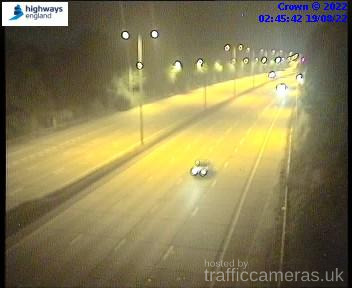 Latest CCTV traffic image from camera #1116 on the M25 road. Latest CCTV traffic image from camera #1118 on the M25 road. Latest CCTV traffic image from camera #1119 on the M25 road. 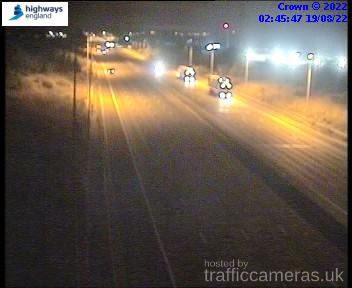 Latest CCTV traffic image from camera #1120 on the M25 road. Latest CCTV traffic image from camera #1121 on the M25 road. 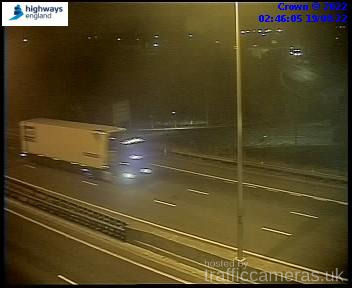 Latest CCTV traffic image from camera #1122 on the M25 road. Latest CCTV traffic image from camera #1123 on the M25 road. Latest CCTV traffic image from camera #1124 on the M25 road. Latest CCTV traffic image from camera #1125 on the M25 road. Latest CCTV traffic image from camera #1129 on the M25 road. 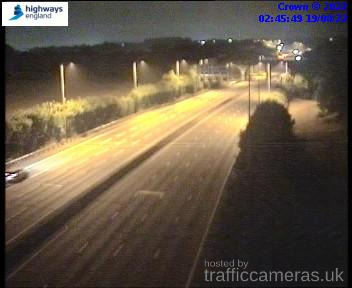 Latest CCTV traffic image from camera #1130 on the M25 road. 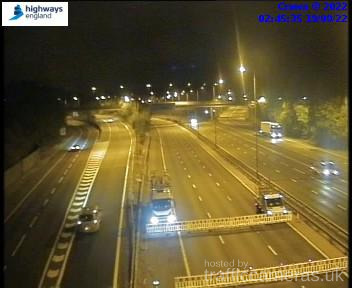 Latest CCTV traffic image from camera #1131 on the M25 road. 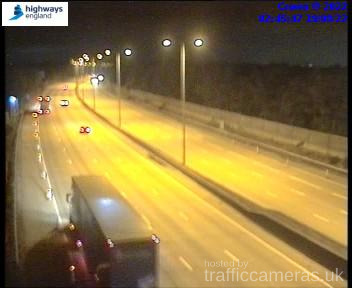 Latest CCTV traffic image from camera #1132 on the M25 road. 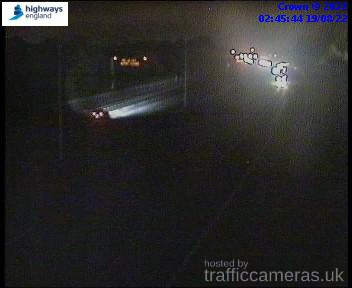 Latest CCTV traffic image from camera #1133 on the M25 road. 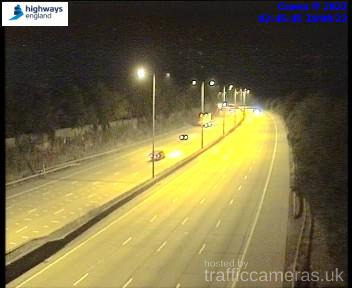 Latest CCTV traffic image from camera #1134 on the M25 road. 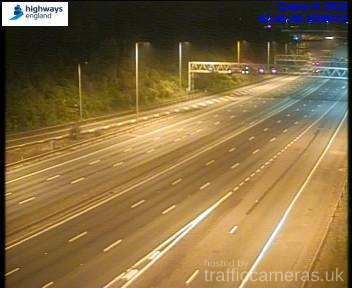 Latest CCTV traffic image from camera #1135 on the M25 road. 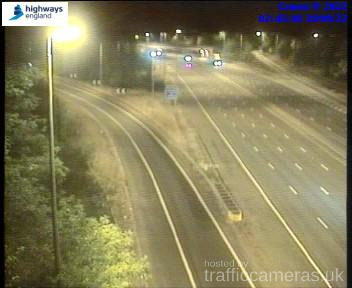 Latest CCTV traffic image from camera #1136 on the M25 road. 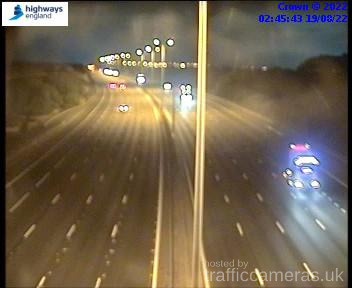 Latest CCTV traffic image from camera #1138 on the M25 road. Latest CCTV traffic image from camera #1139 on the M25 road. 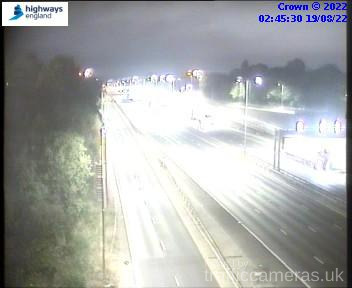 Latest CCTV traffic image from camera #1140 on the M25 road. 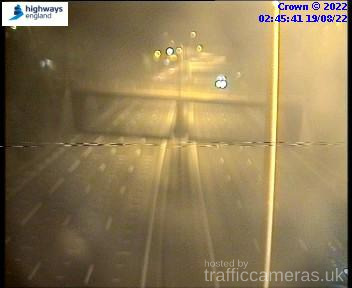 Latest CCTV traffic image from camera #1141 on the M25 road. 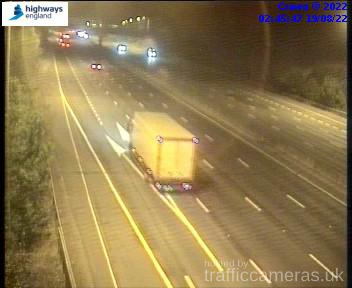 Latest CCTV traffic image from camera #1142 on the M25 road. 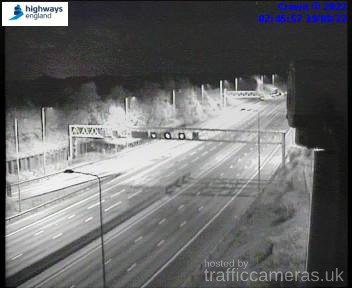 Latest CCTV traffic image from camera #1143 on the M25 road. 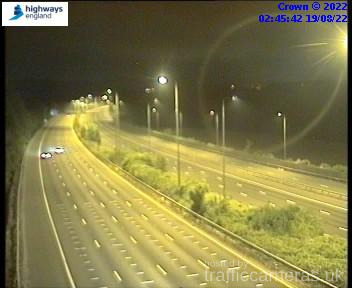 Latest CCTV traffic image from camera #1144 on the M25 road. 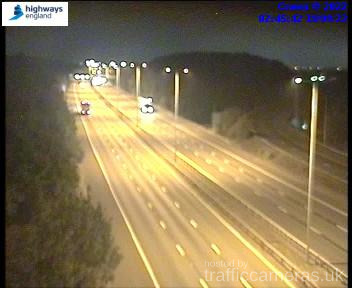 Latest CCTV traffic image from camera #1145 on the M25 road. 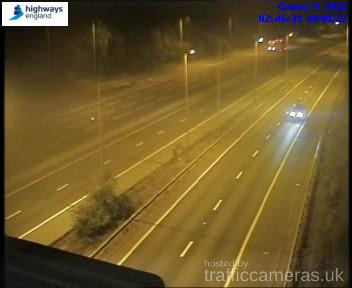 Latest CCTV traffic image from camera #1146 on the M25 road. 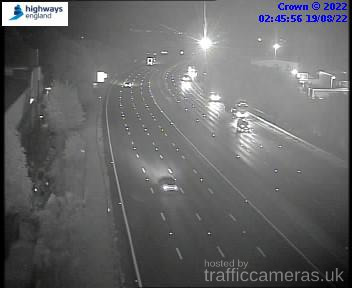 Latest CCTV traffic image from camera #1147 on the M25 road. 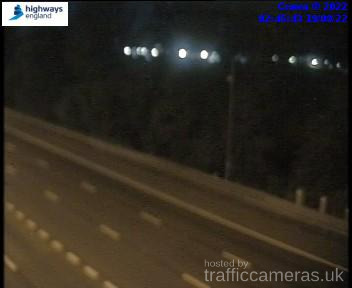 Latest CCTV traffic image from camera #1148 on the M25 road. 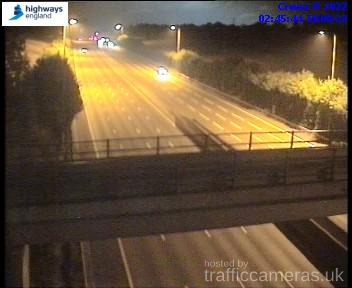 Latest CCTV traffic image from camera #1149 on the M25 road. 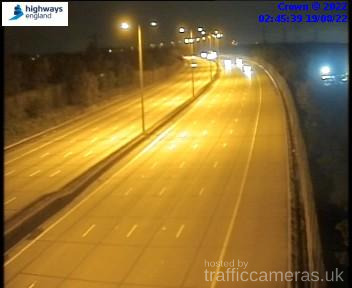 Latest CCTV traffic image from camera #1150 on the M25 road. 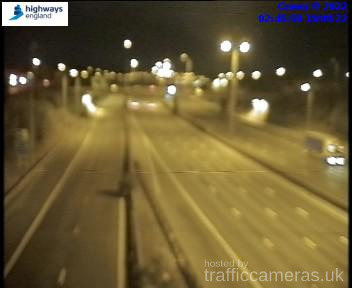 Latest CCTV traffic image from camera #1151 on the M25 road. 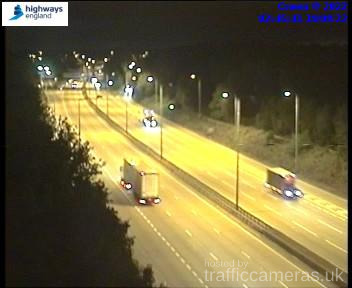 Latest CCTV traffic image from camera #1152 on the M25 road. 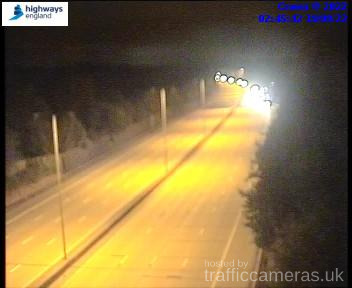 Latest CCTV traffic image from camera #1153 on the M25 road. 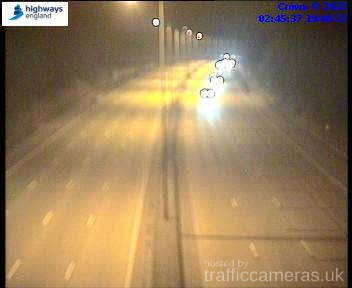 Latest CCTV traffic image from camera #1155 on the M25 road. 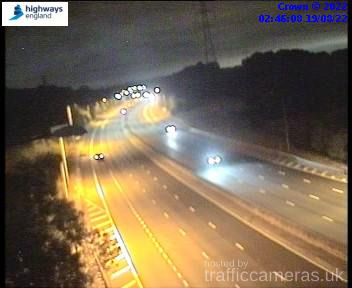 Latest CCTV traffic image from camera #1156 on the M25 road. 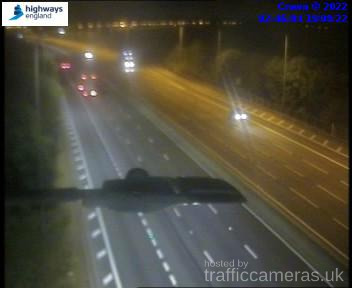 Latest CCTV traffic image from camera #1157 on the M25 road. 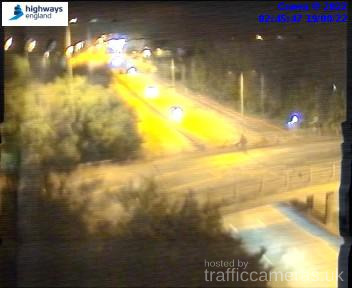 Latest CCTV traffic image from camera #1158 on the M25 road. 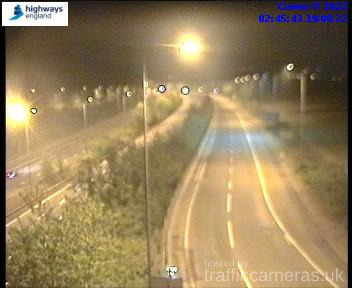 Latest CCTV traffic image from camera #1159 on the M25 road. 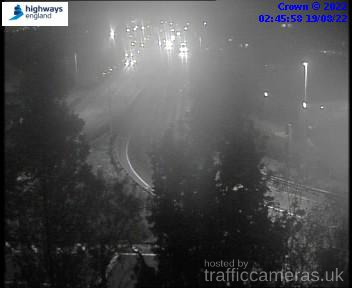 Latest CCTV traffic image from camera #1160 on the M25 road. 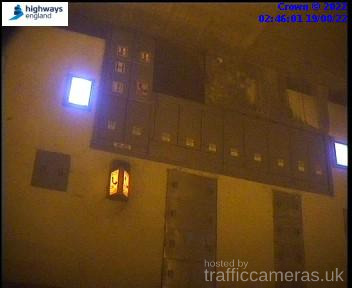 Latest CCTV traffic image from camera #1162 on the M25 road. 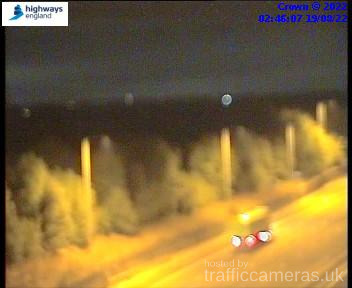 Latest CCTV traffic image from camera #1163 on the M25 road. 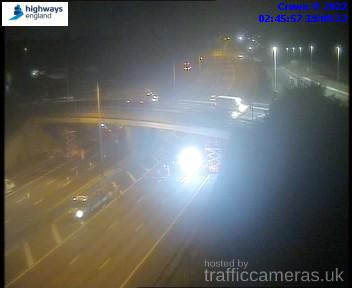 Latest CCTV traffic image from camera #1164 on the M25 road. 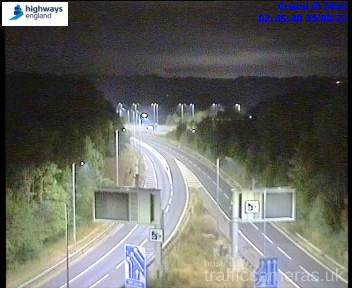 Latest CCTV traffic image from camera #1165 on the M25 road. 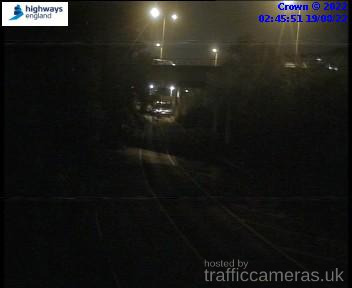 Latest CCTV traffic image from camera #1166 on the M25 road. 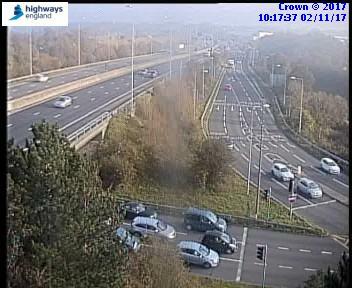 Latest CCTV traffic image from camera #1167 on the M25 road. 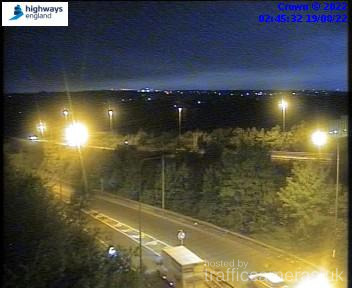 Latest CCTV traffic image from camera #1168 on the M25 road. 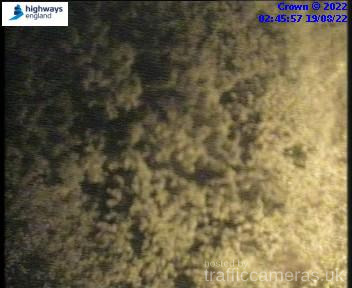 Latest CCTV traffic image from camera #1169 on the M25 road. 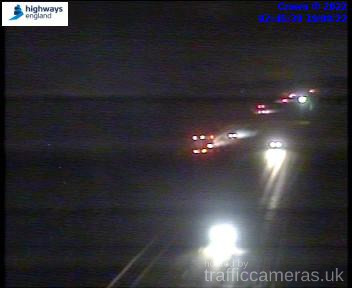 Latest CCTV traffic image from camera #1170 on the M25 road. 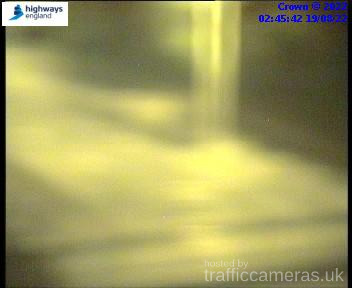 Latest CCTV traffic image from camera #1171 on the M25 road. 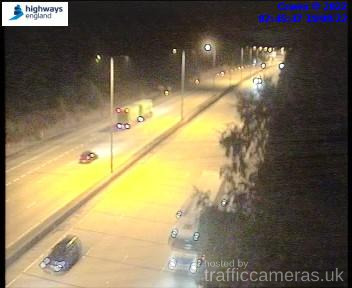 Latest CCTV traffic image from camera #1172 on the M25 road. 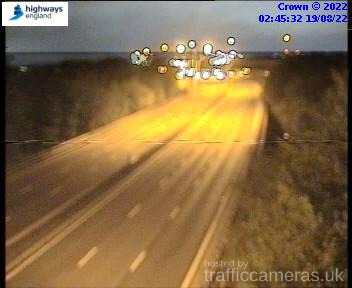 Latest CCTV traffic image from camera #1173 on the M25 road. 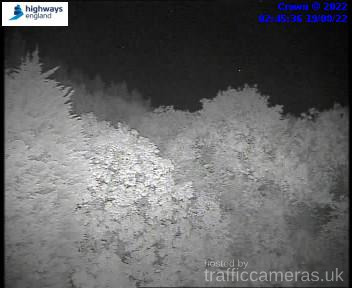 Latest CCTV traffic image from camera #1174 on the M25 road. 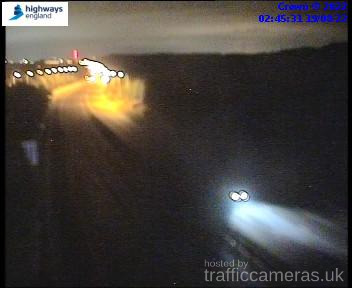 Latest CCTV traffic image from camera #1175 on the M25 road. 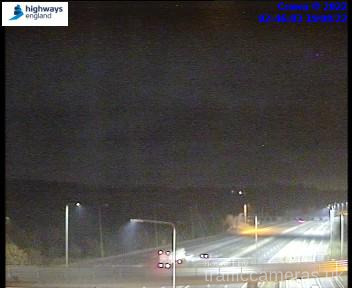 Latest CCTV traffic image from camera #1176 on the M25 road. 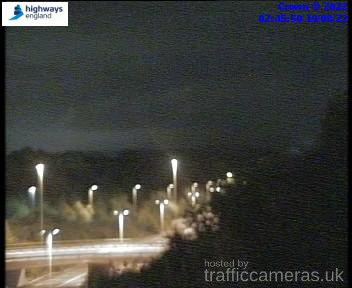 Latest CCTV traffic image from camera #1177 on the M25 road.